Pragmatic yet expressive, the building offers flexibility and a clear identity to a growing cultural institution that serves as a caretaker of Swiss heritage. 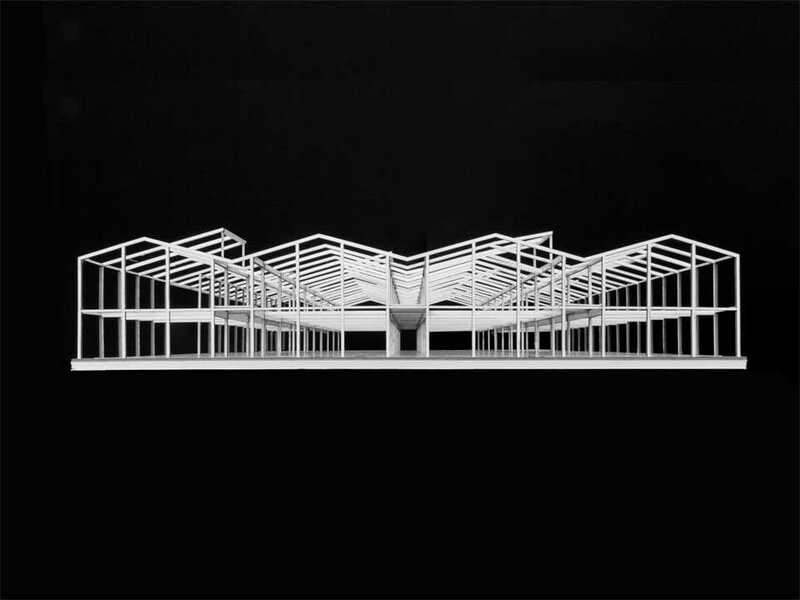 A long, horizontal form floats above the ancient ruins, a single economical spatial system that allows for change and differentiation, while distributing weight evenly over a transfer plate. 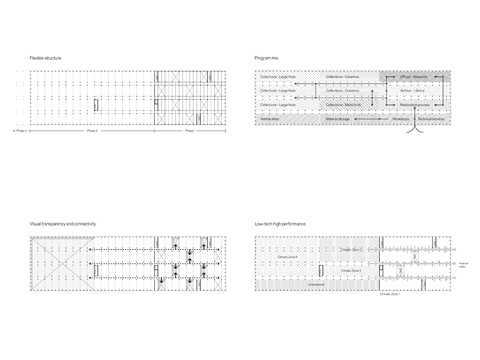 The linearity allows for ease of expansion and the assurance that at any given moment the building will appear complete. Visual transparency in the field condition promotes mutual awareness across the departments and builds a common identity for an institution that had been physically disaggregated for too long. 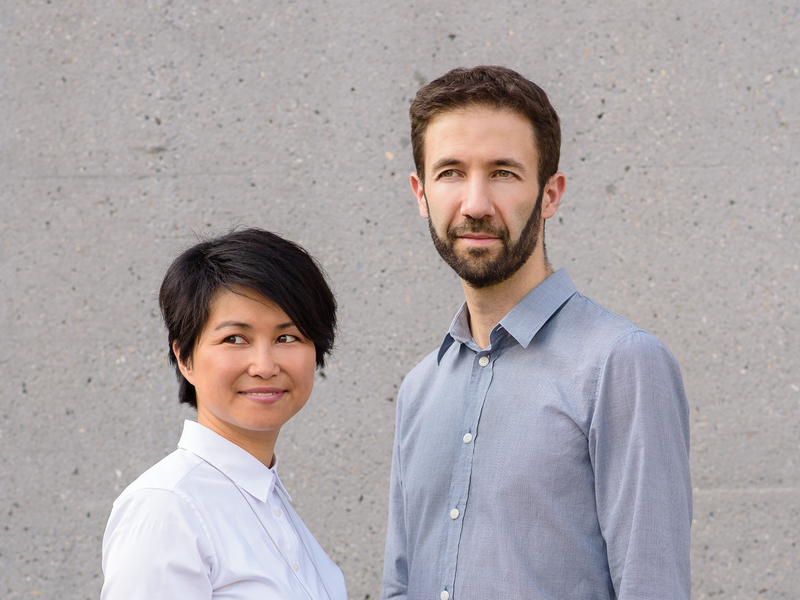 The process from the discovery of an artefact to its eventual archiving in the collection becomes part of an exposed sequence of collaborations between departments that occupy this common grid. The lightweight structure unifies a differentiated set of programs with a clear spatial character. 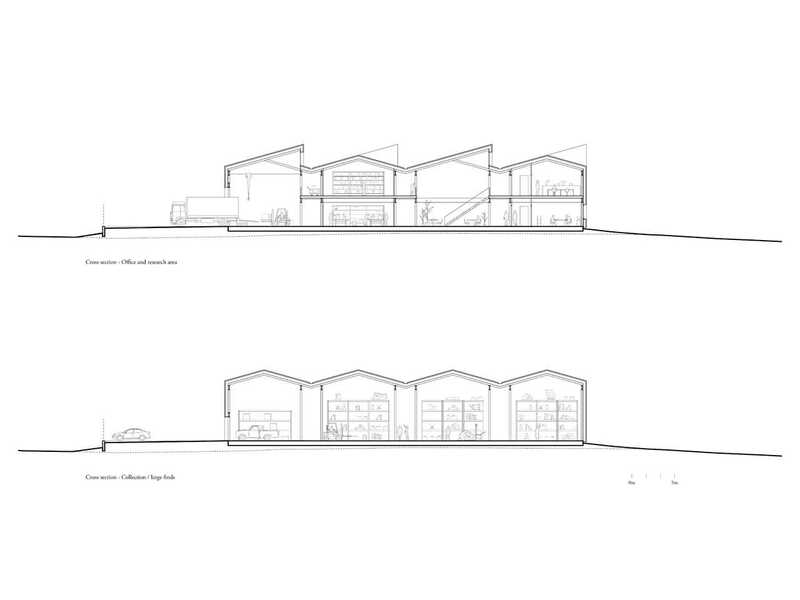 Offices, workshops, small and large finds are distributed across a surface in a balancing of weight. A single basic system produces a grand hall at the same time as more intimate spaces. The de-familiarization of the industrial form finds value and new expression in everyday materials. 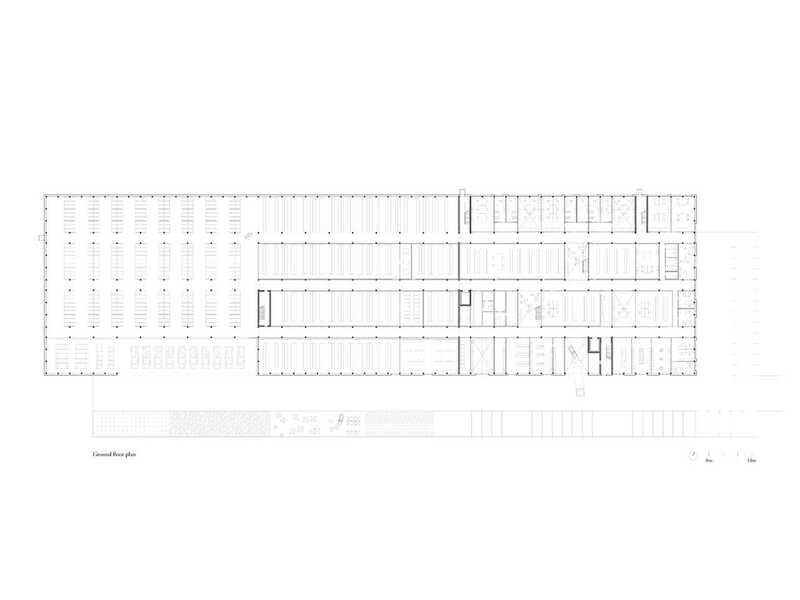 The horizontal layering of the façade is at once abstract and figurative. 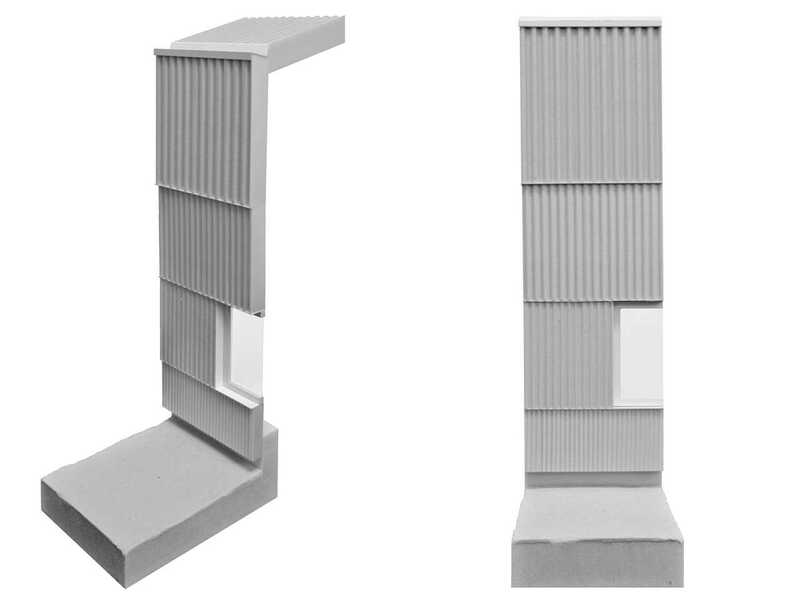 Varying densities of corrugated metal present an almost archaic expression of sedimentation. Spatial specificity punctuates the field, offering functionality, transparency, and atmosphere. 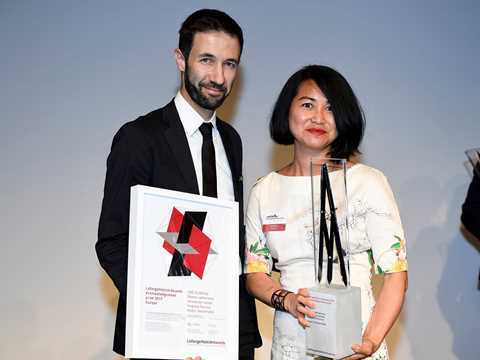 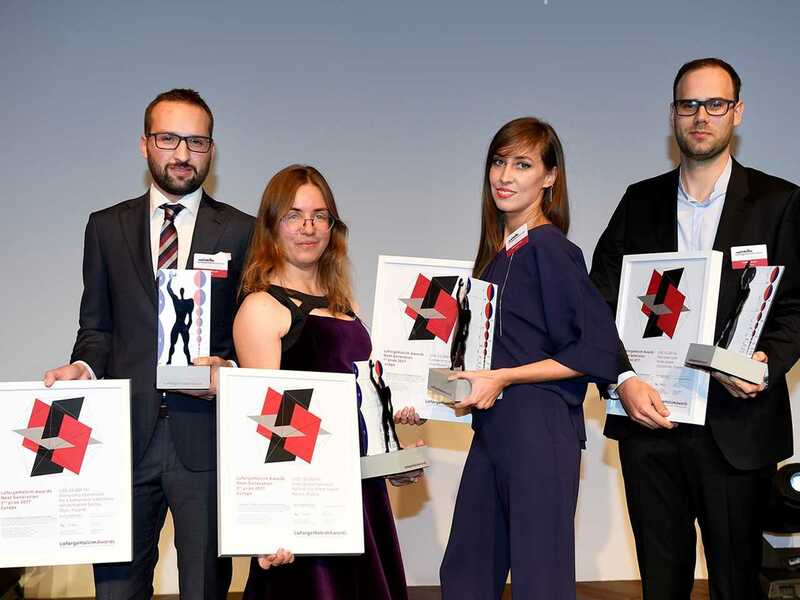 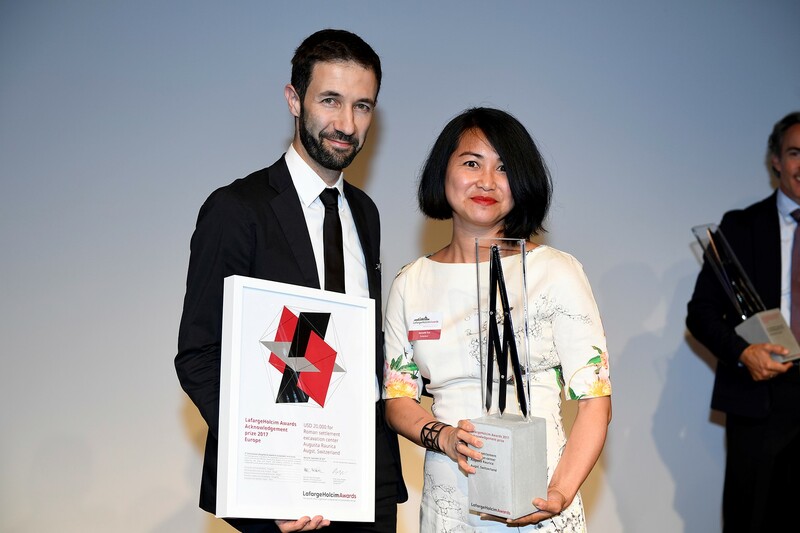 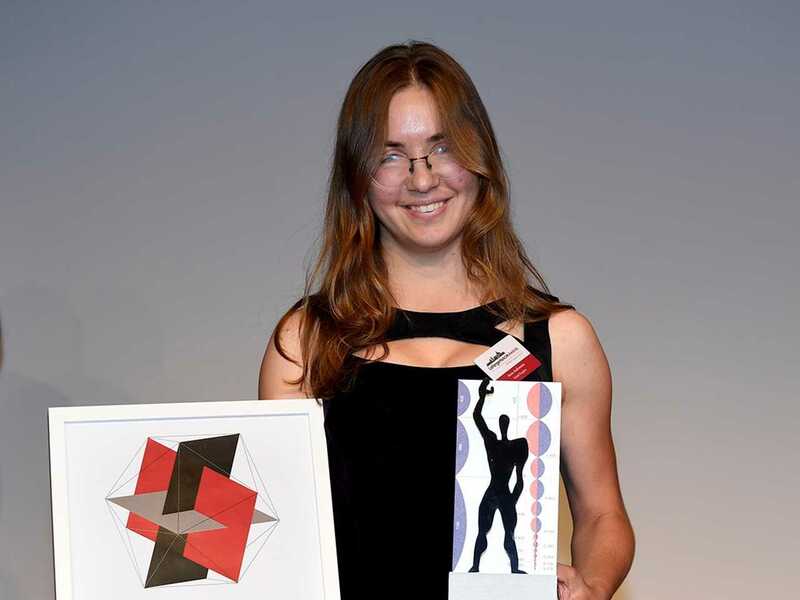 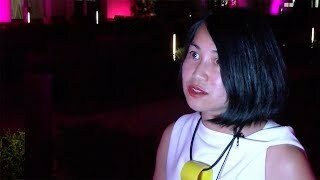 Winner of a LafargeHolcim Awards Acknowledgement prize (l-r): Jeannette Kuo and Ünal Karamuk, architects, Karamuk Kuo Architects, Zurich, Switzerland. 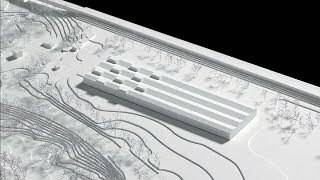 Roman settlement excavation center Augusta Raurica presents the first headquarters for a significant yet financially challenged cultural institution safeguarding the largest Roman site in Switzerland. 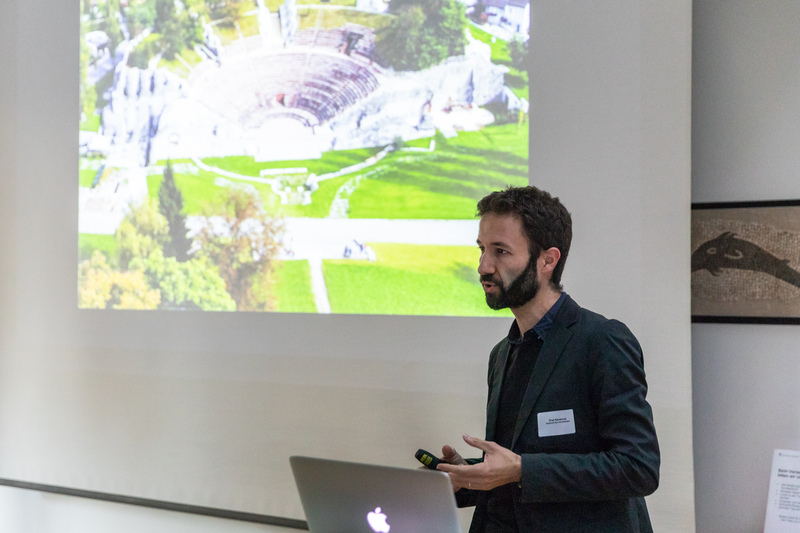 The archaeological center for Roman ruins finds a flexible structural system to meet diverse uses and adapt as they change over time. 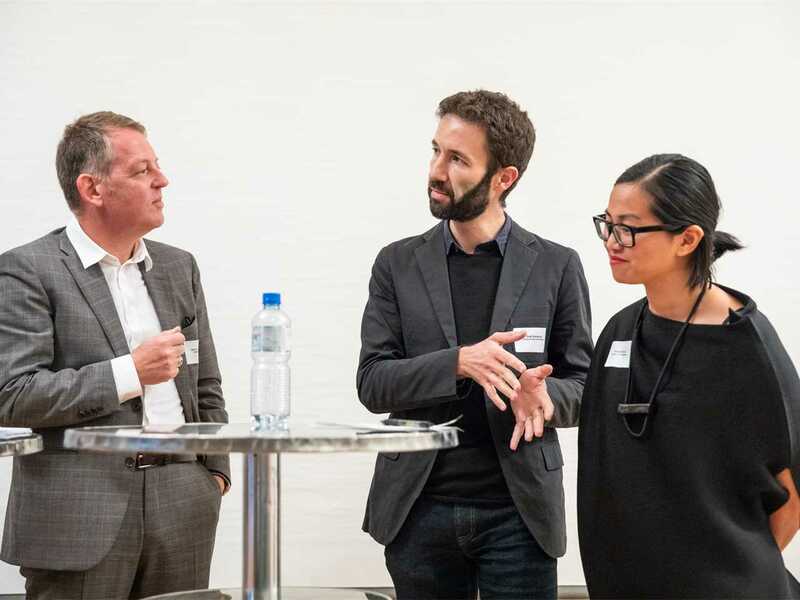 Discussing the project (l-r): Mario Frigerio, Chief Architect, Basel-Landschaft; Dennis Schneider, Regional Manager of Holcim for North Western Switerland; Adrian Kohler, Moderator; and LafargeHolcim Awards prize-winning authors Ünal Karamuk and Jeannette Kuo, Karamuk Kuo Architects. 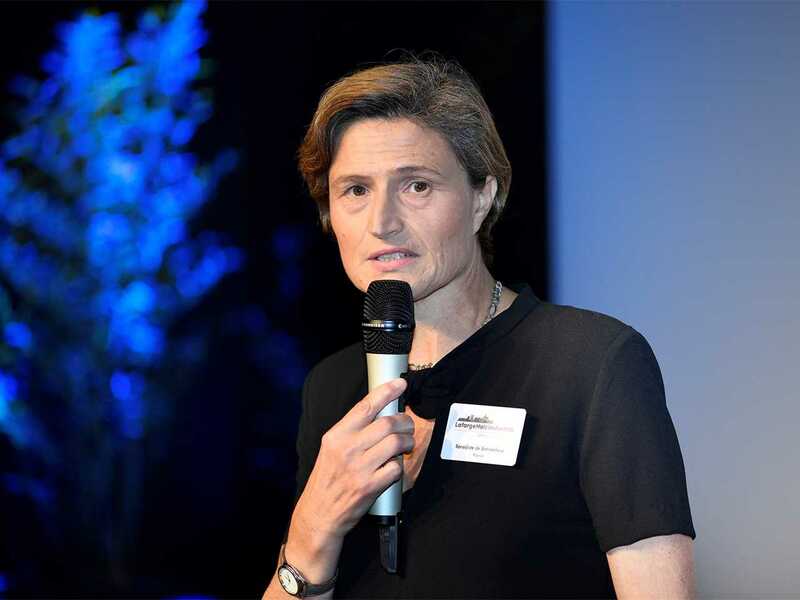 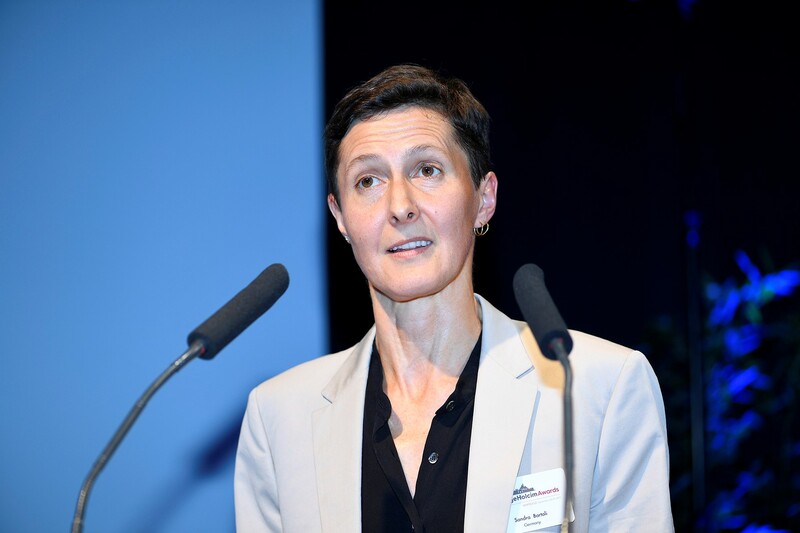 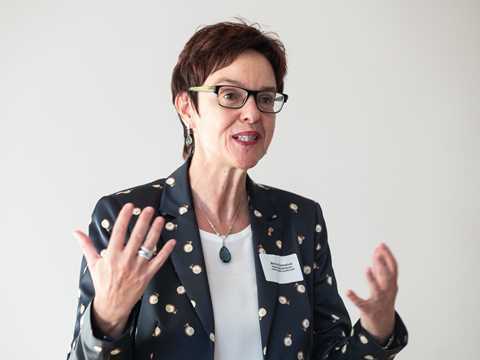 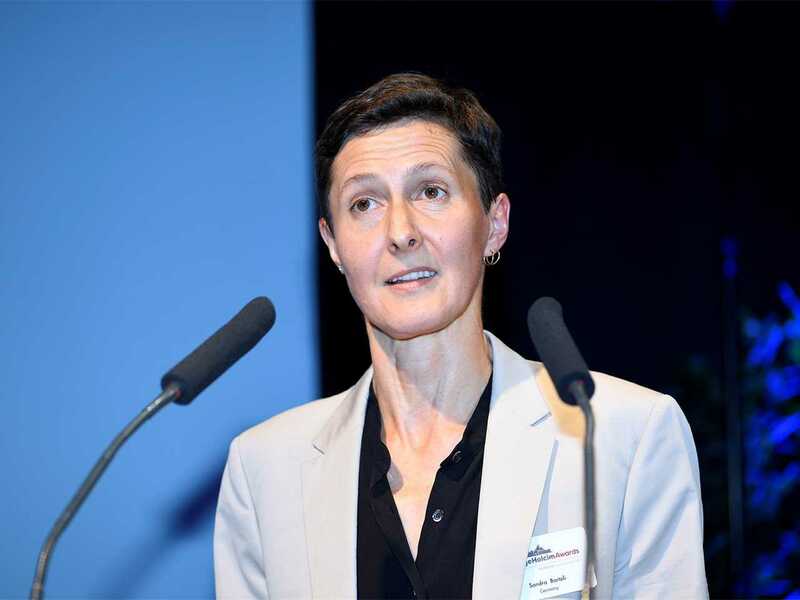 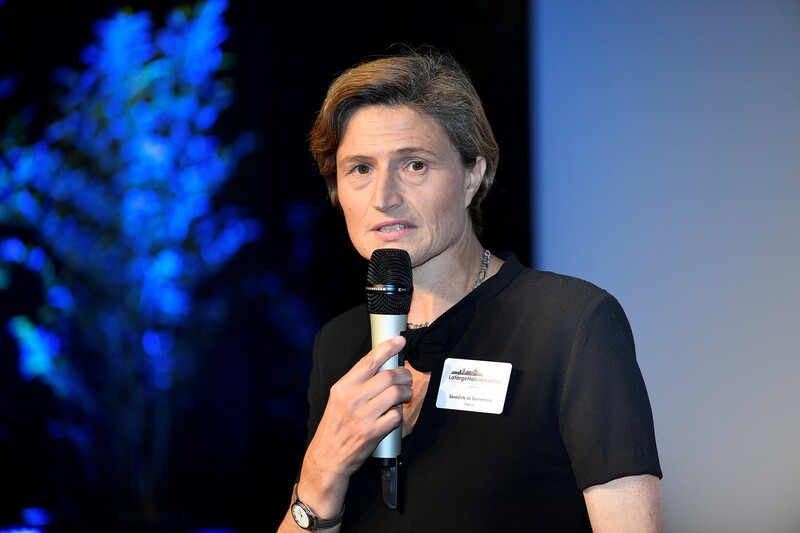 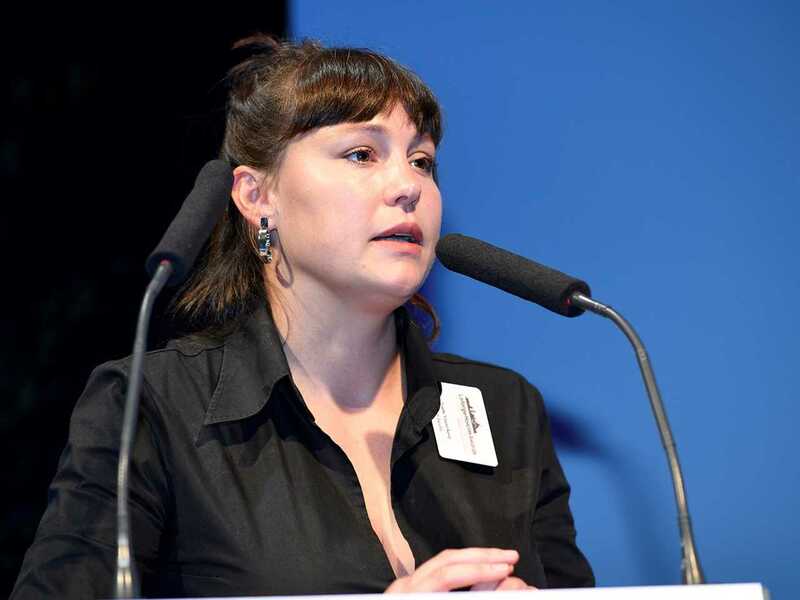 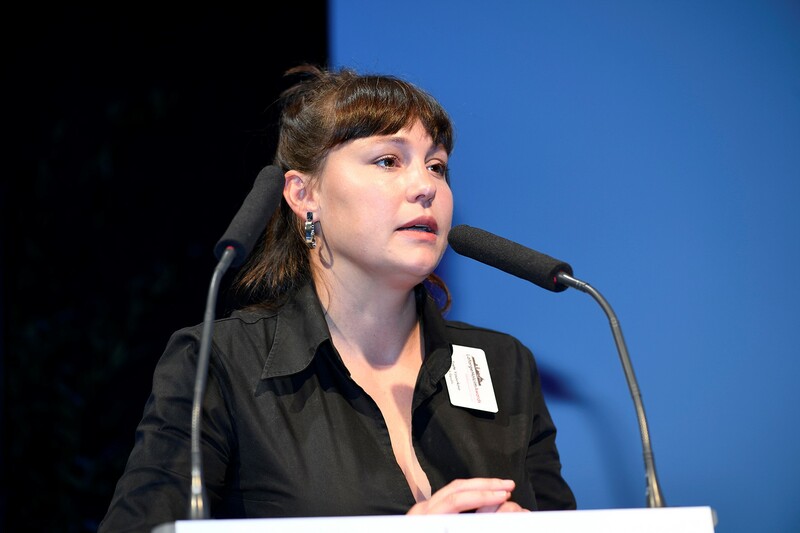 “Working on the future in a historic environment” – Monika Gschwind, President of the Government, Canton of Basel-Landschaft. 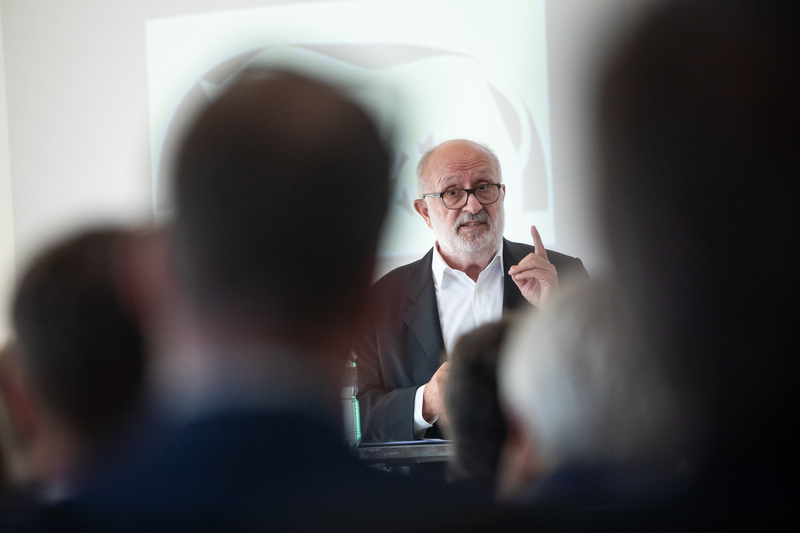 “The ability of the building to adapt with the changing needs of the future is central to the concept of the project.” – Ünal Karamuk, Karamuk Kuo Architects, Zurich, Switzerland. 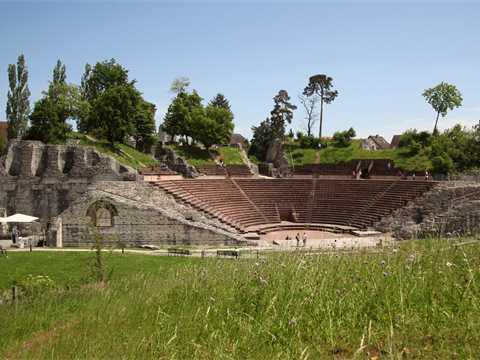 The ancient amphitheater of Augusta Raurica was the result of meticulous planning and could hold up to 13,000 spectators. Photo courtesy Augusta Raurica. 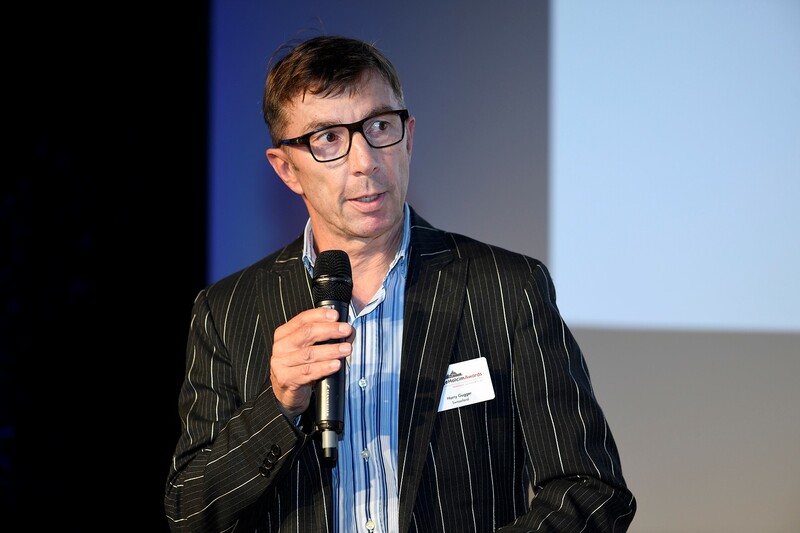 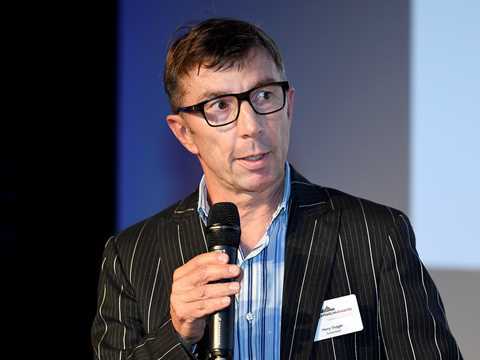 “Sustainability through adaptability” – Rolf Soiron, Chairman of the LafargeHolcim Foundation from 2003 to 2018. 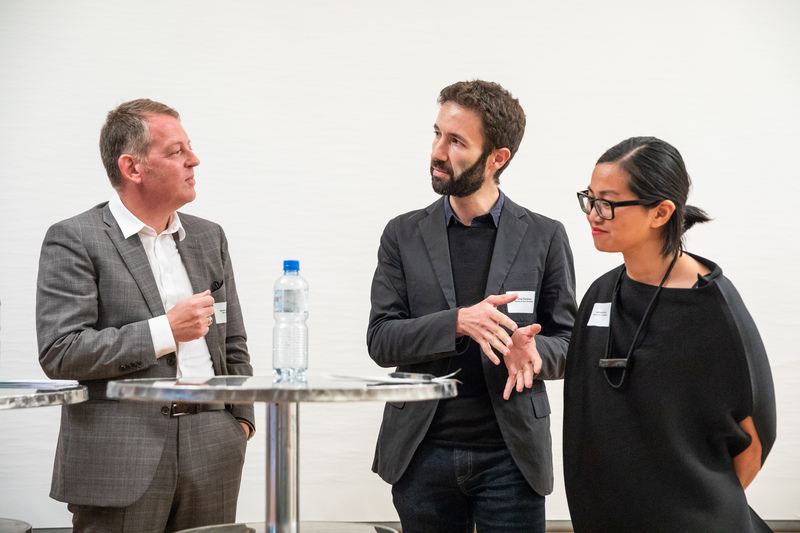 Discussing the project described by the LafargeHolcim Awards jury for Europe as “bringing together the process from the discovery of an artefact to its eventual archiving as part of an exposed sequence of collaborations between departments” (l-r): Adrian Kohler, Moderator with Ünal Karamuk and Jeannette Kuo, Karamuk Kuo Architects. 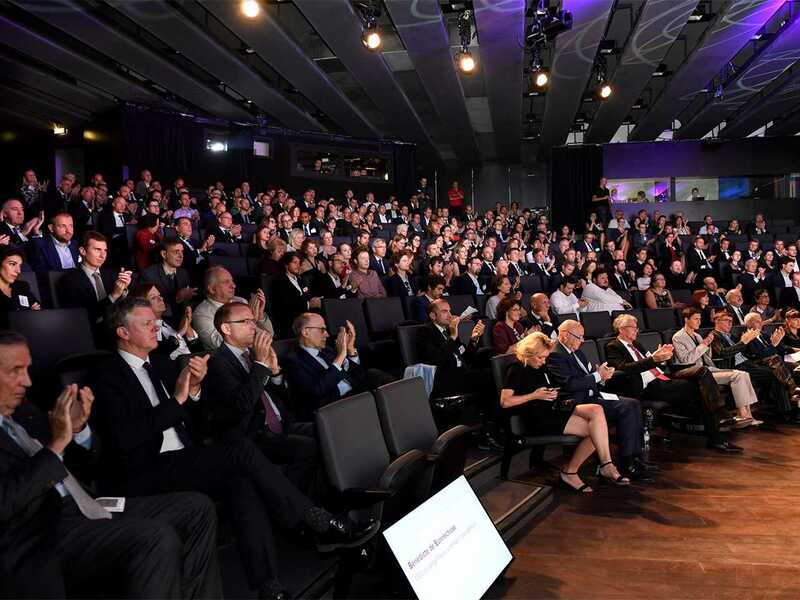 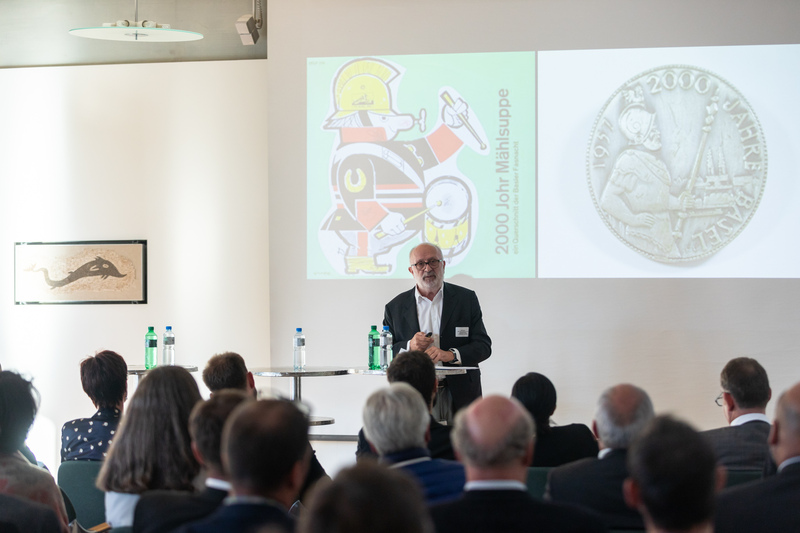 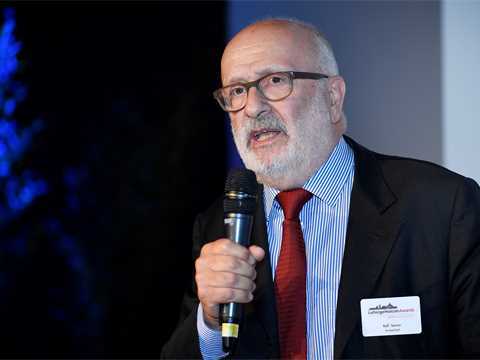 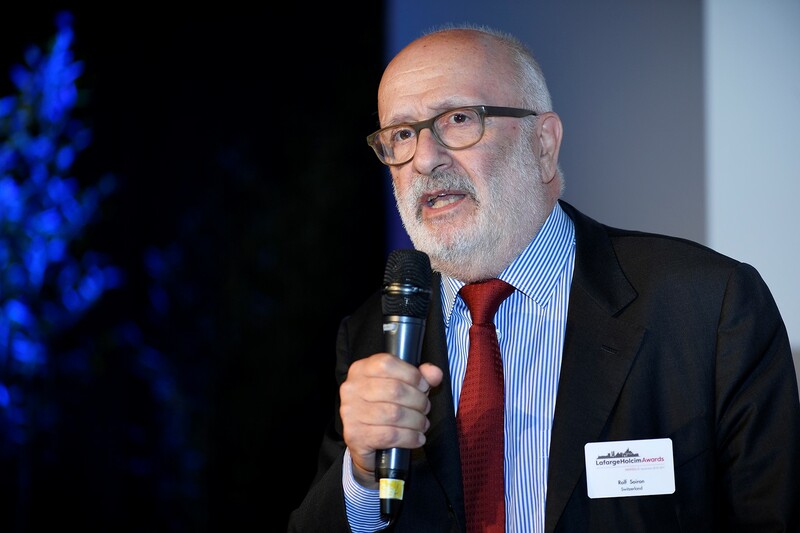 Rolf Soiron, Chairman of the LafargeHolcim Foundation from 2003 to 2018, explained how the project illustrated how lessons today can be learnt from the past. 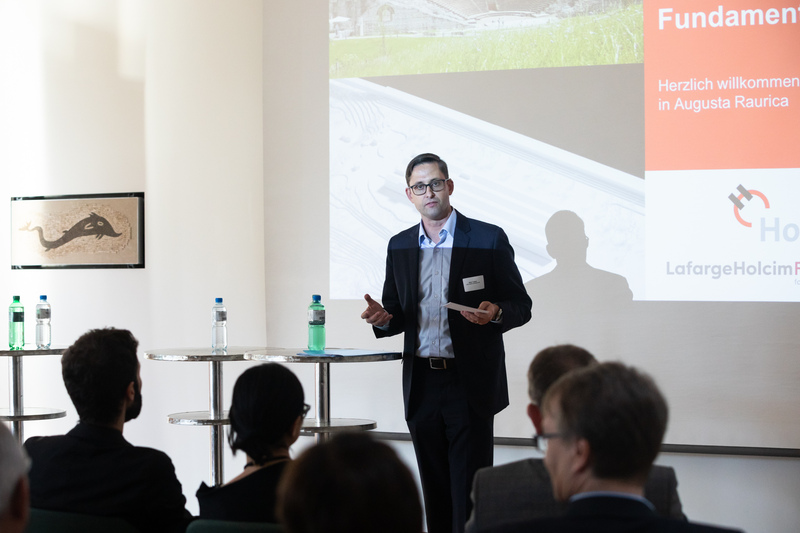 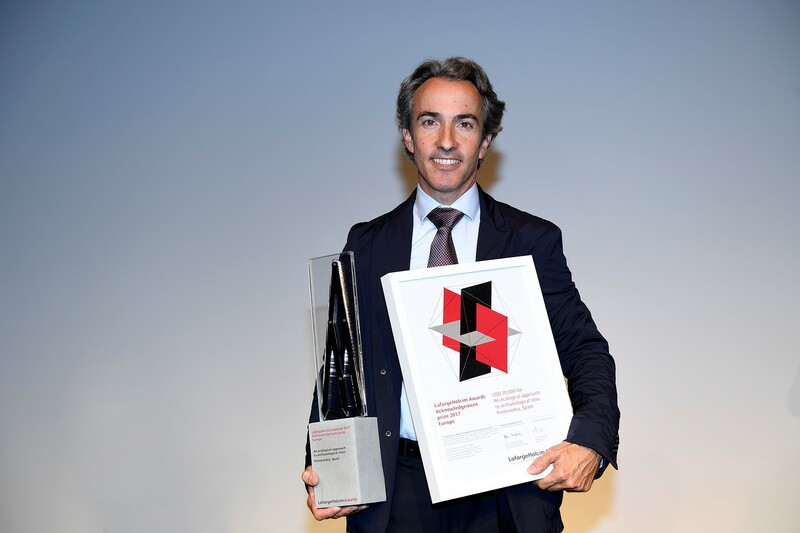 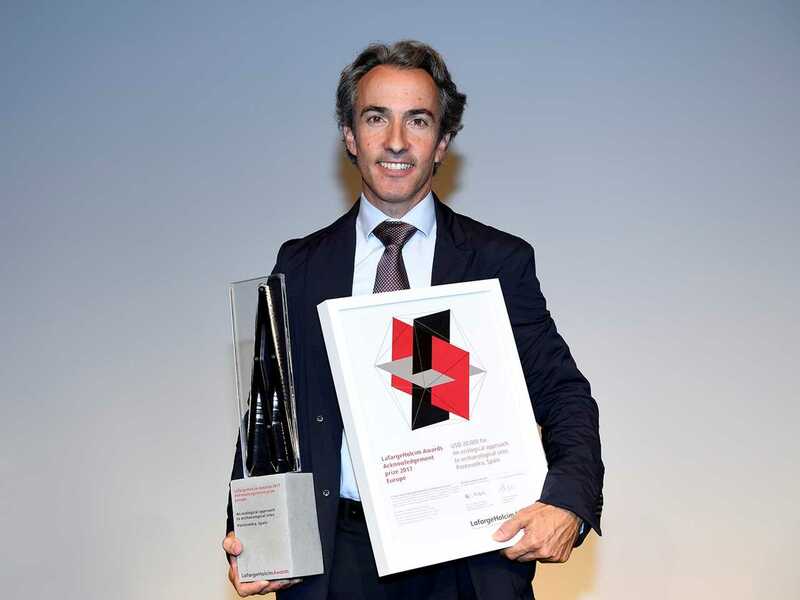 “Holcim Switzerland is proud to be associated with this exciting project that both showcases sustainability and preserves history” – Nick Traber, CEO, Holcim Switzerland. Monika Gschwind, President of the Canton of Basel-Landschaft Government, praised Karamuk Kuo Architects of Zurich for their project to create an excavation center in the village of Augst: “You are working on the future in a historic environment,” she said. 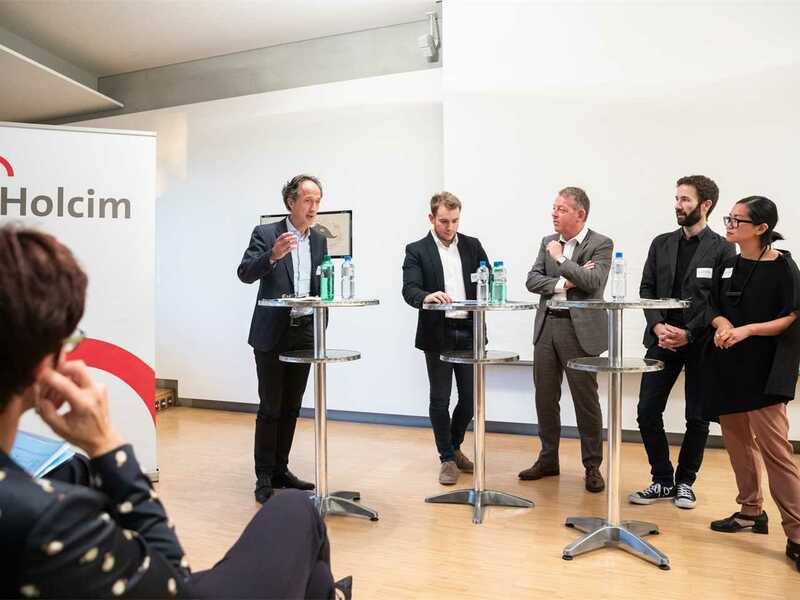 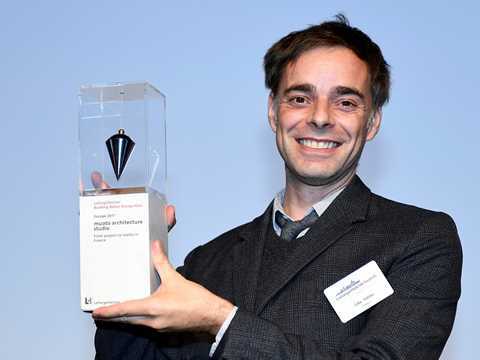 The Chief architect of the Canton of Basel-Landschaft, Marco Frigerio, confirmed that construction of the flexible and functional low-tech building will start in early-2019. 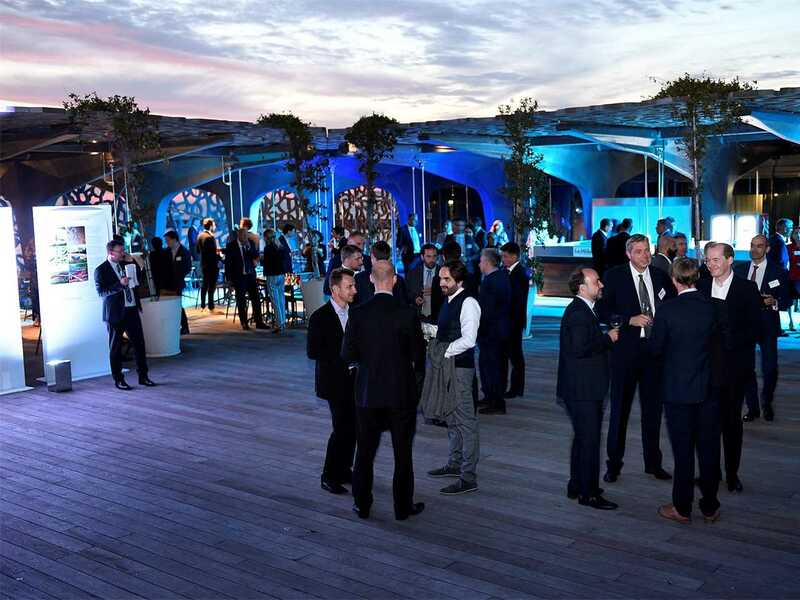 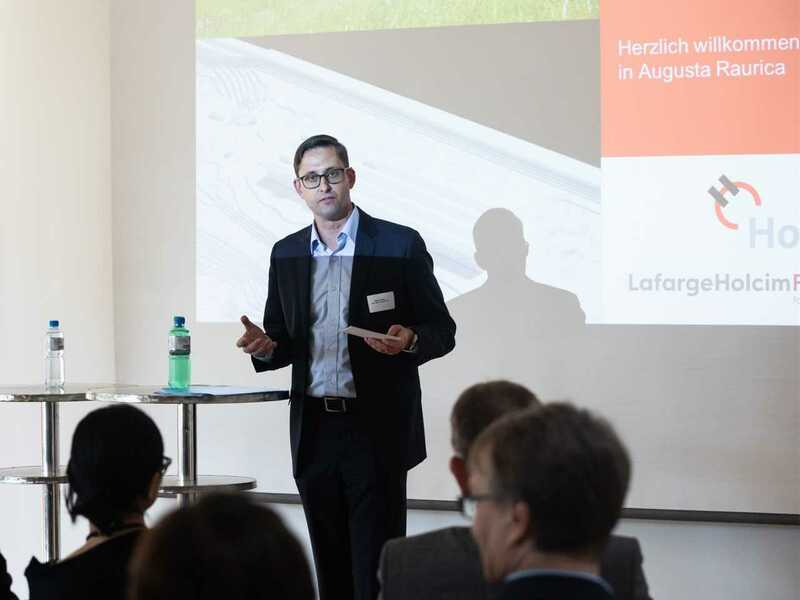 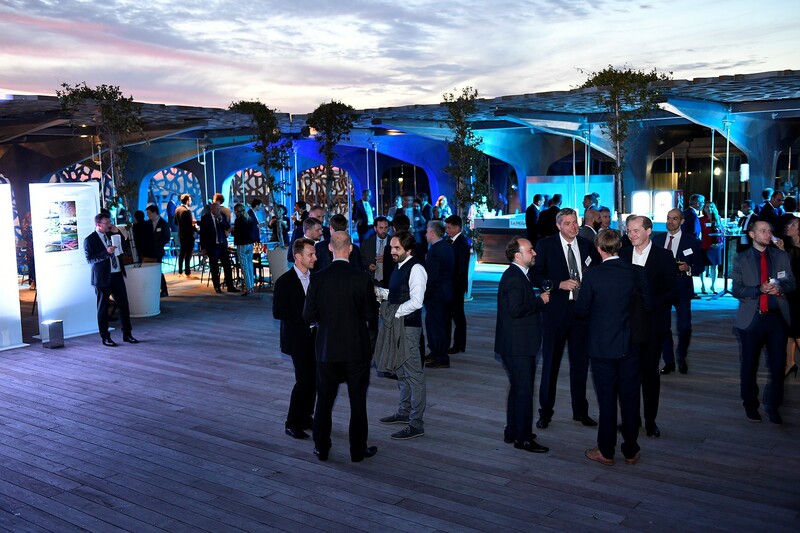 Holcim Switzerland invited key stakeholders representing business, politics and authorities to the archeological site of Augusta Raurica (Canton of Basel-Landschaft), the best-preserved Roman city north of the Alps that attracts some 150,000 visitors per year. 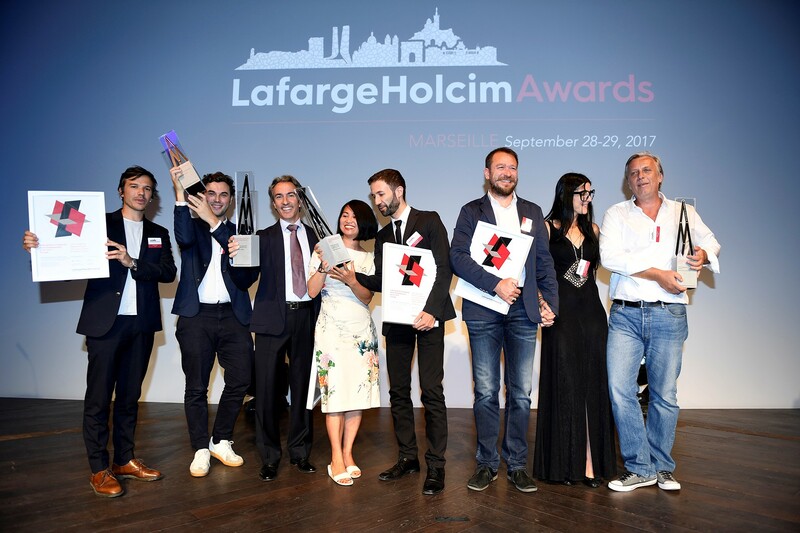 The gathering at this site was to celebrate the LafargeHolcim Awards prize for a project described by the jury as “Radical Archaeology.” The design by Ünal Karamuk and Jeannette Kuo was recognized as one of the eleven best submissions in the European Awards competition 2017. 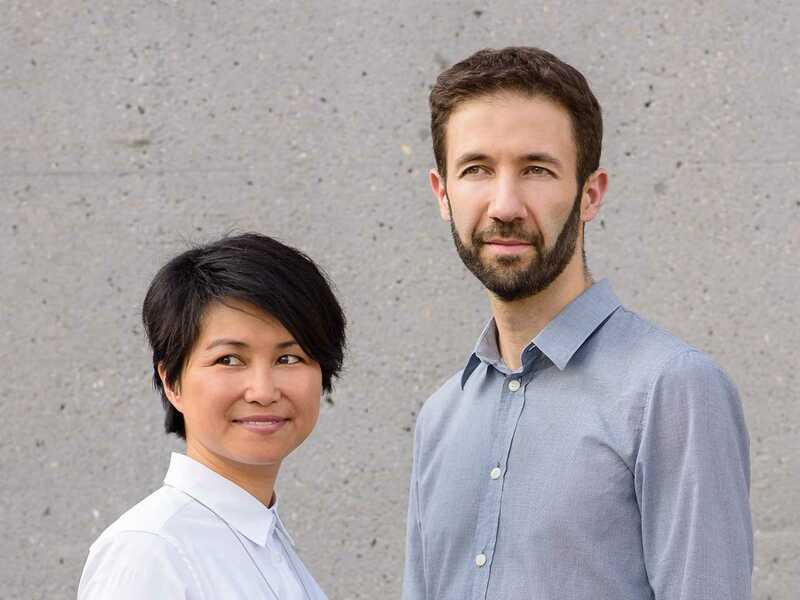 “This project has grown close to our hearts,” said the two architects about the archaic, yet handsome structure that enables to house many uses. 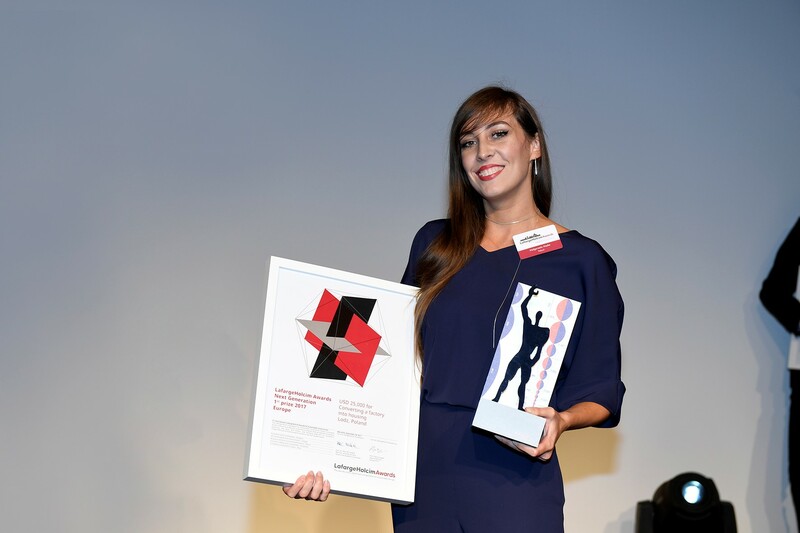 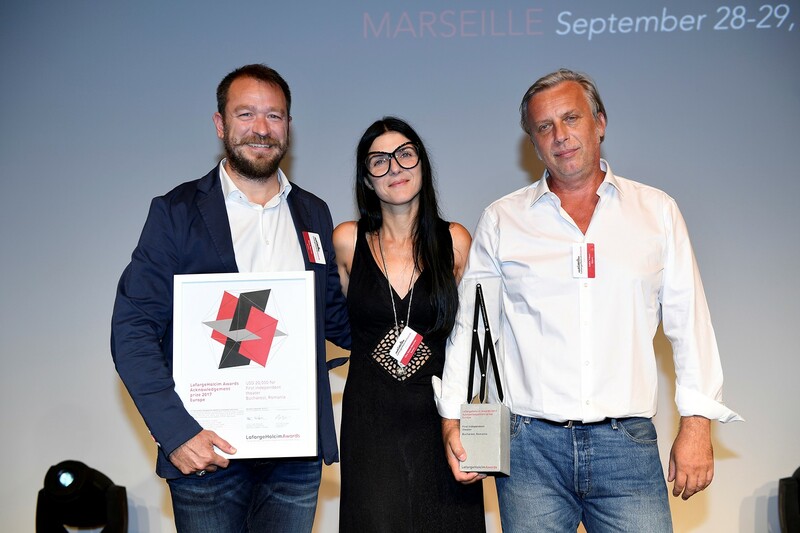 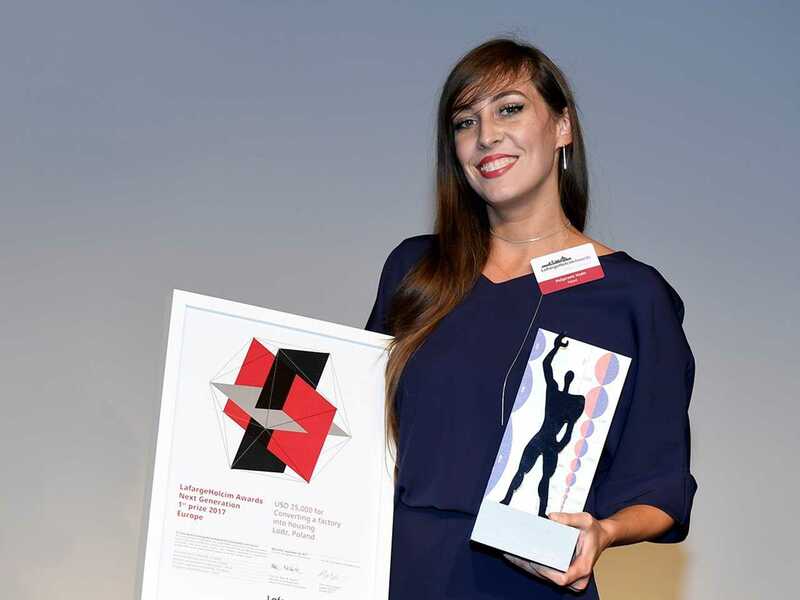 Monika Gschwind and Marco Frigerio emphasized the immense pride of everyone involved in realizing a project that has achieved international recognition. Offices, preservation laboratories, workshops, and storage, previously dispersed in various buildings, will be united within a single structure. 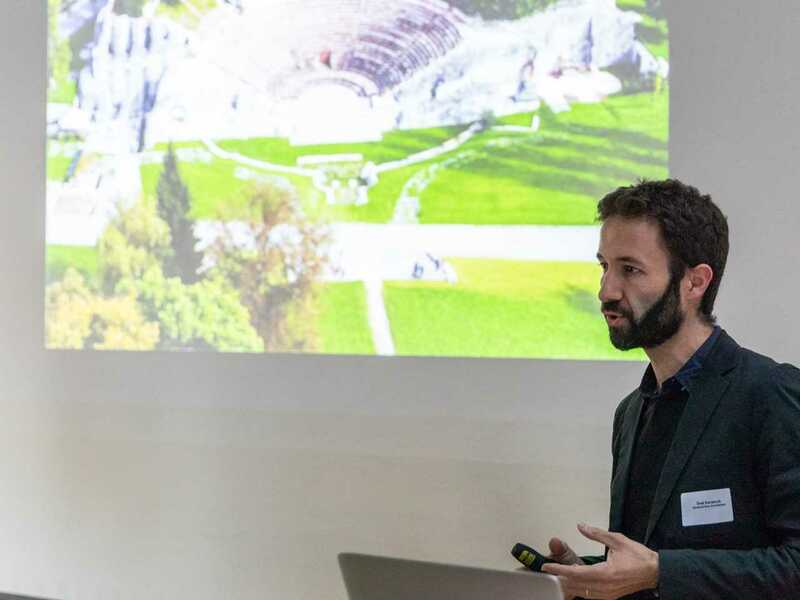 The cohesive structure will create a transparent working environment and a common identity for the 60 employees who are safeguarding the largest Roman site in Switzerland. 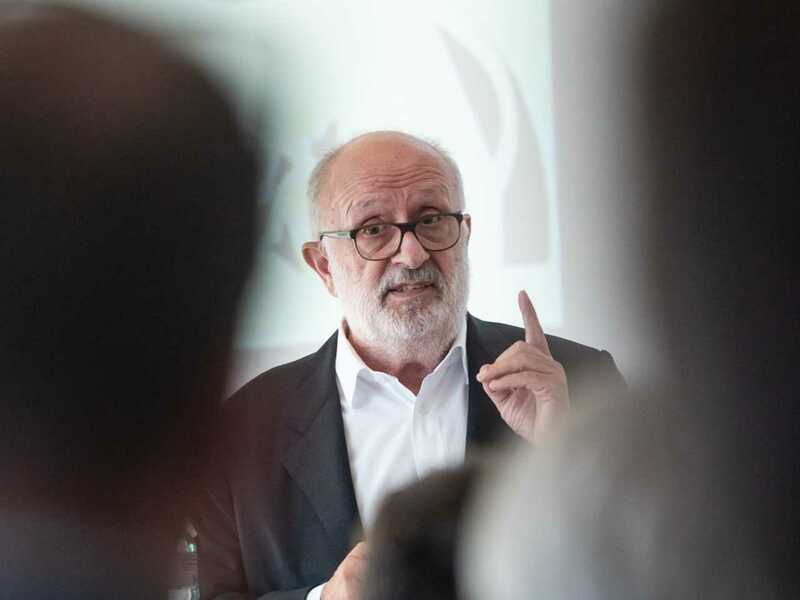 “Preserving historic sites and artifacts and making them accessible to the next generation is building the foundation for the future,” explained Frigerio: the fact that the building “floats” above the ground without impacting the precious archaeological site below is an expression of the ingenuity of the design, he added. 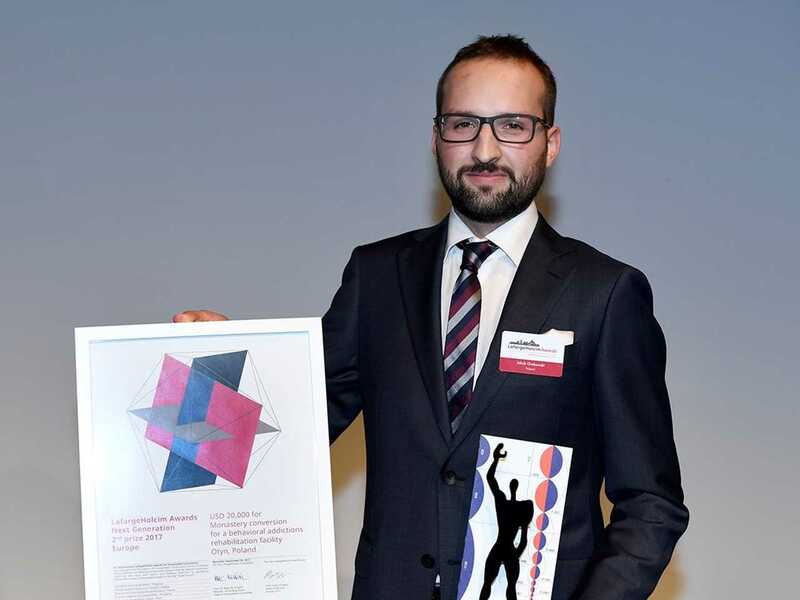 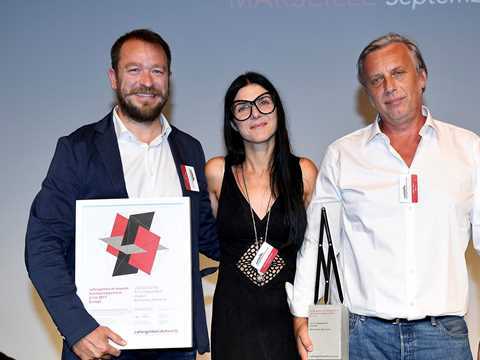 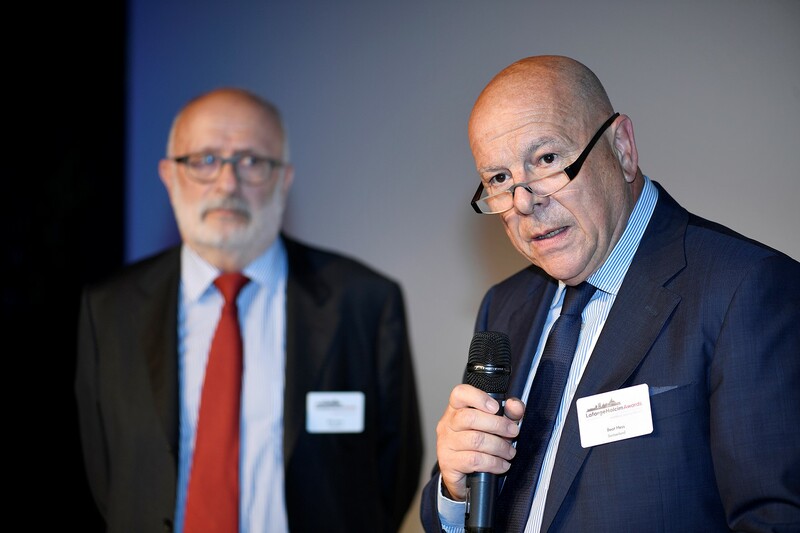 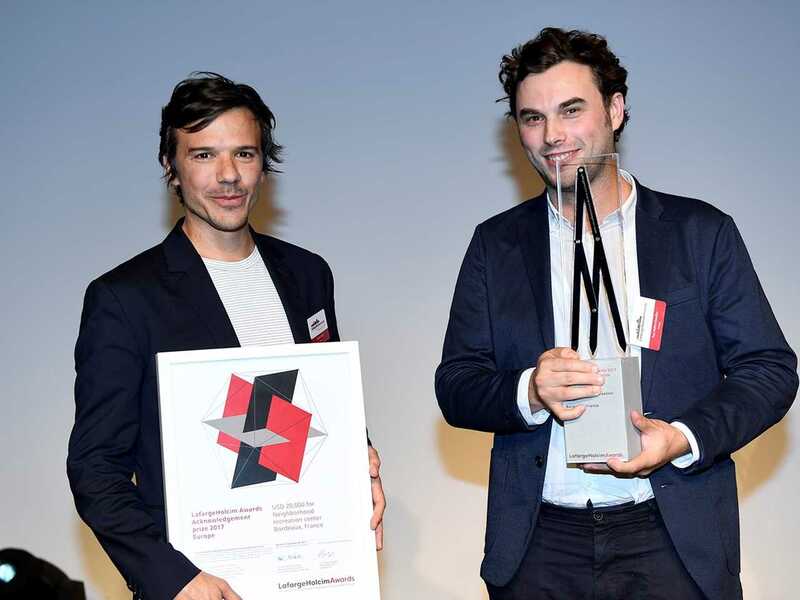 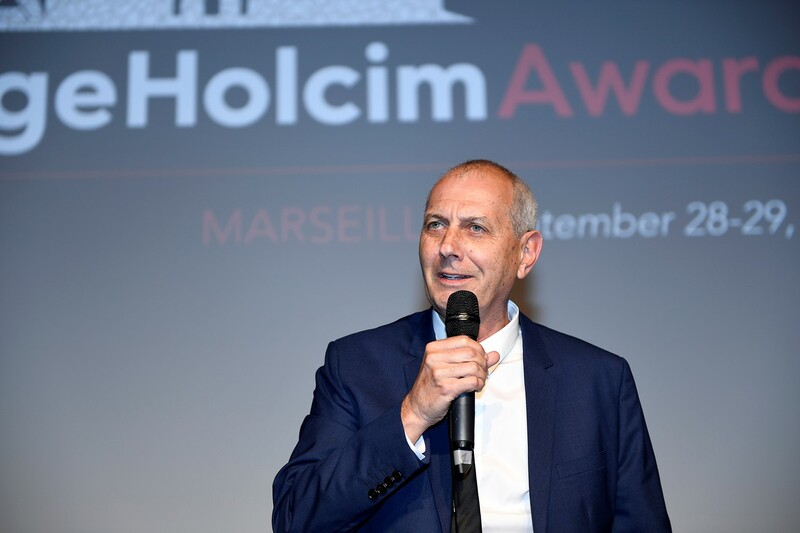 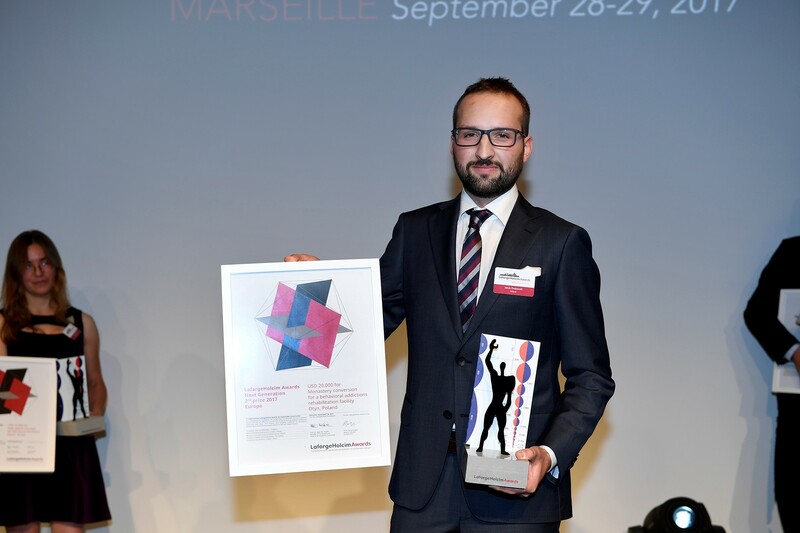 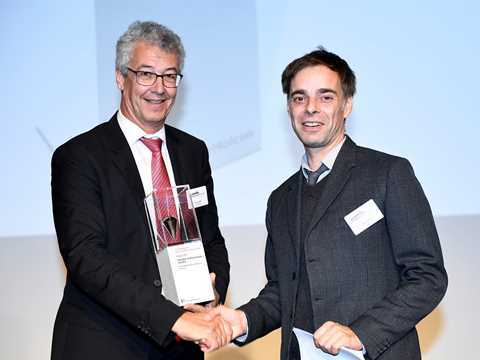 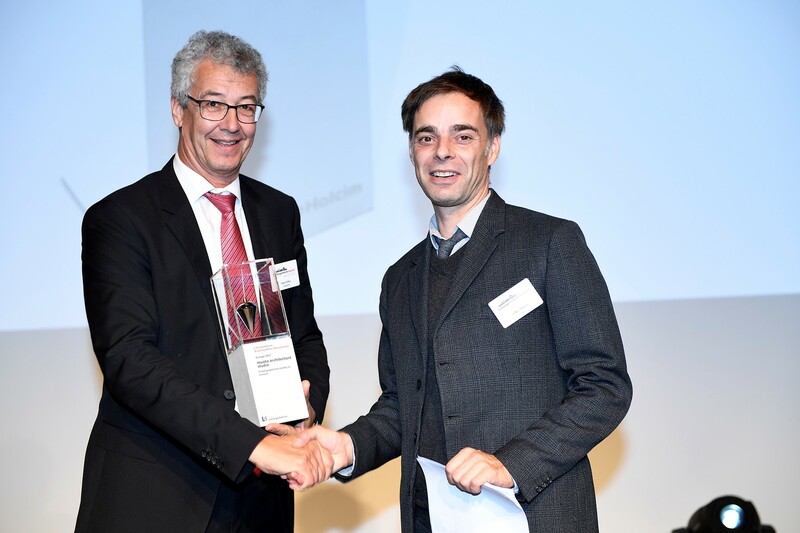 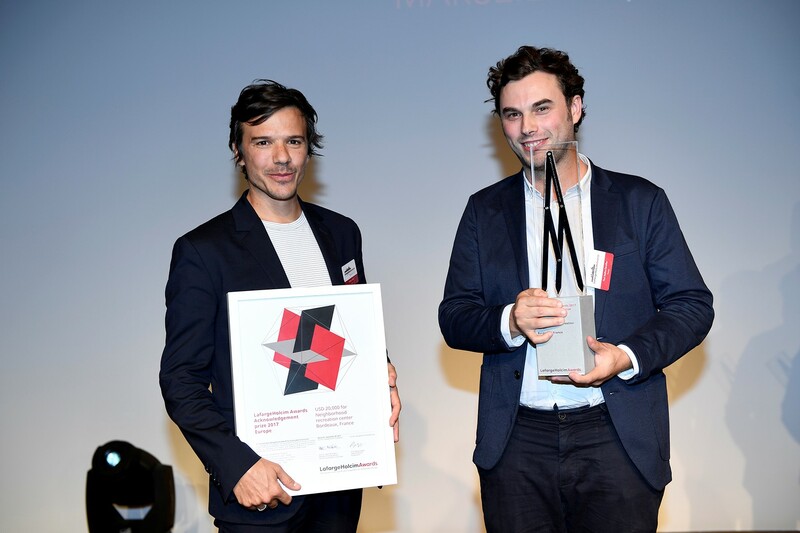 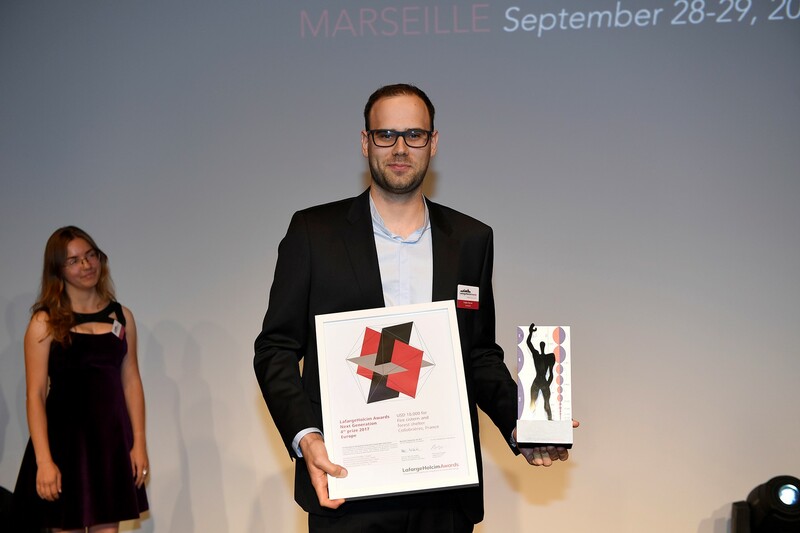 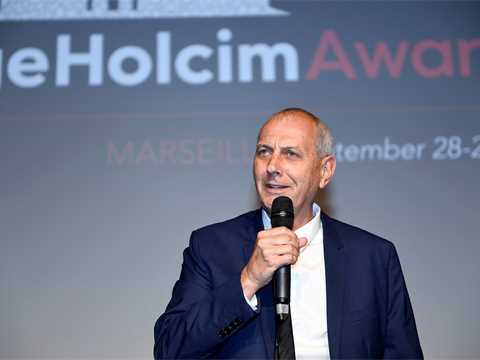 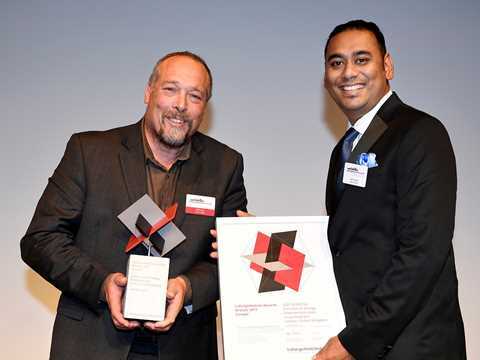 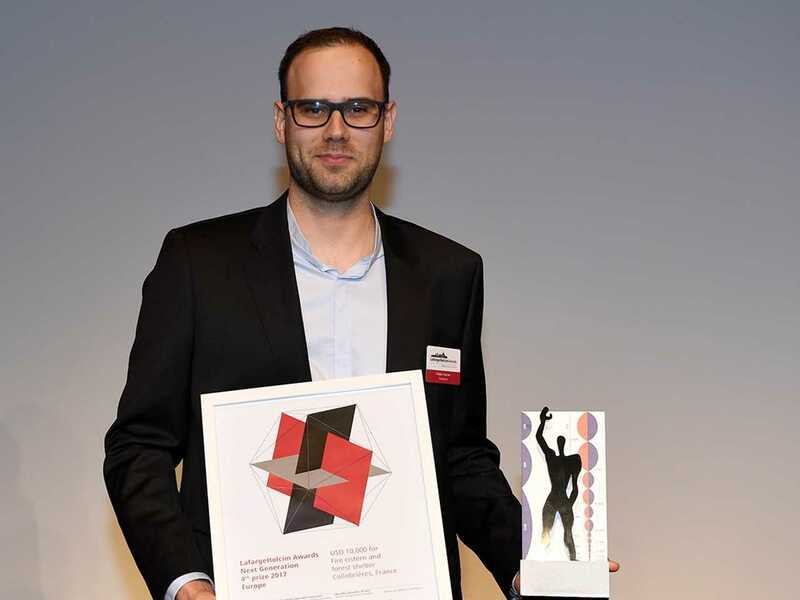 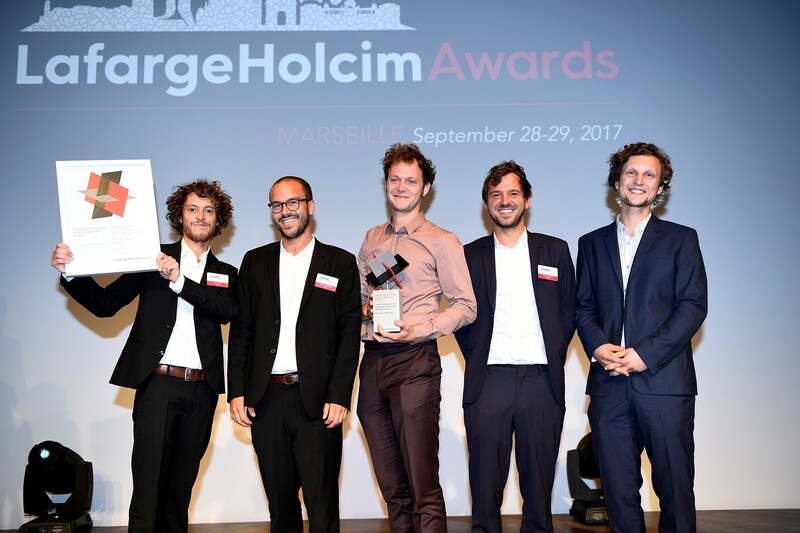 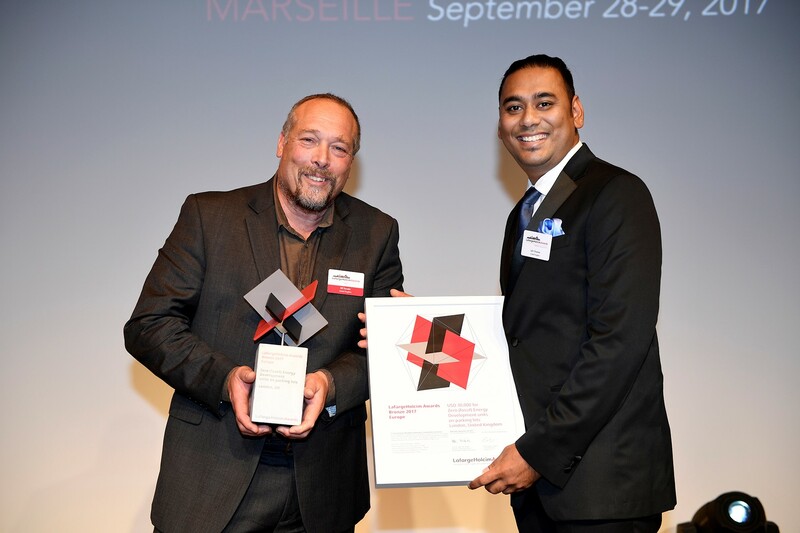 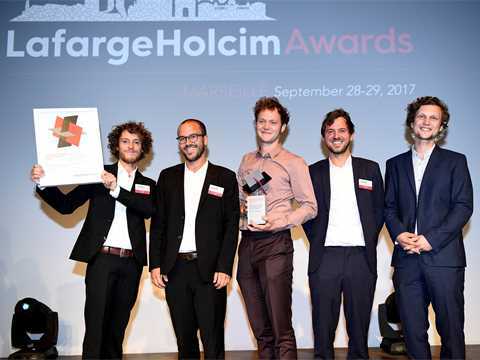 Nick Traber, CEO of Holcim Switzerland, and Dennis Schneider, regional manager for North Western Switzerland, enthused on how pleased they are to be associated with the prize-winning project. 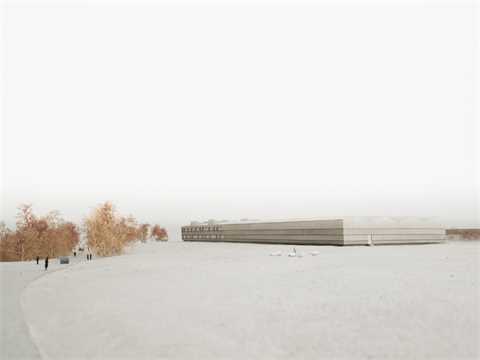 A massive concrete slab will in one support the lightweight structure of the building and protect the historic remains in the ground below it. The Roman archaeological site and open-air museum Augusta Raurica is 20km east of Basel and the oldest known Roman colony on the Rhine. 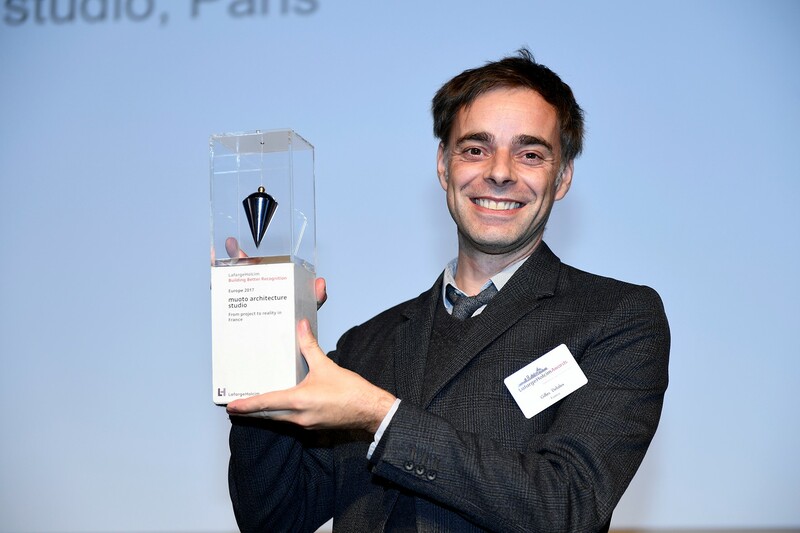 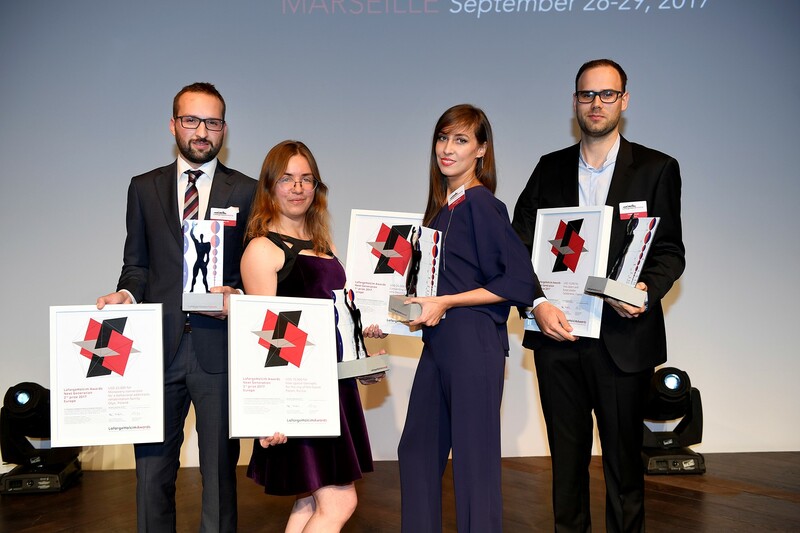 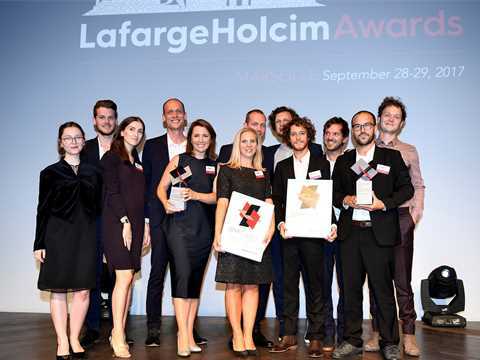 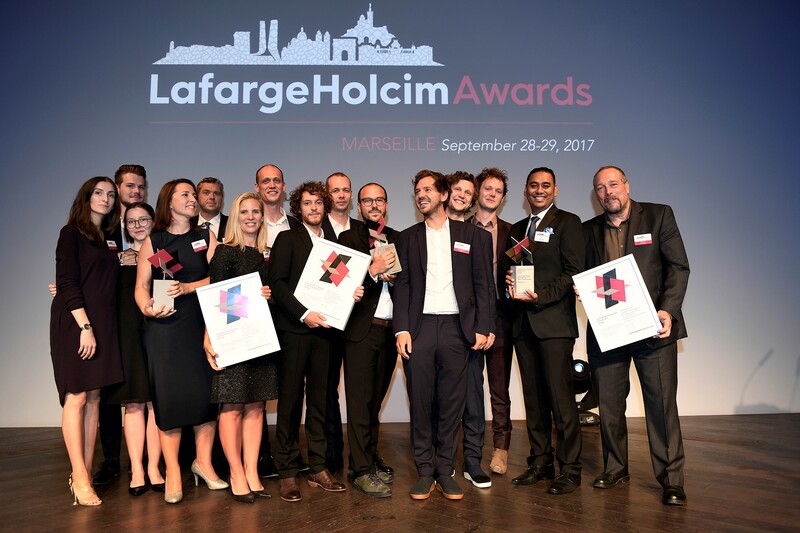 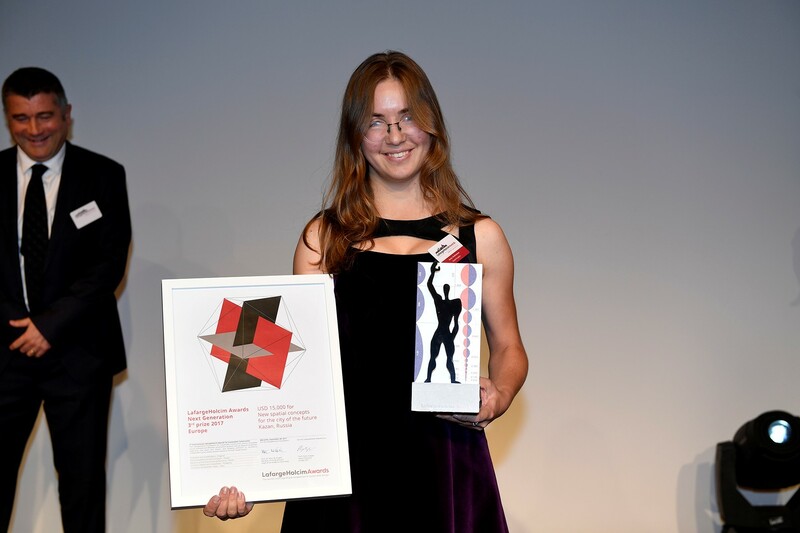 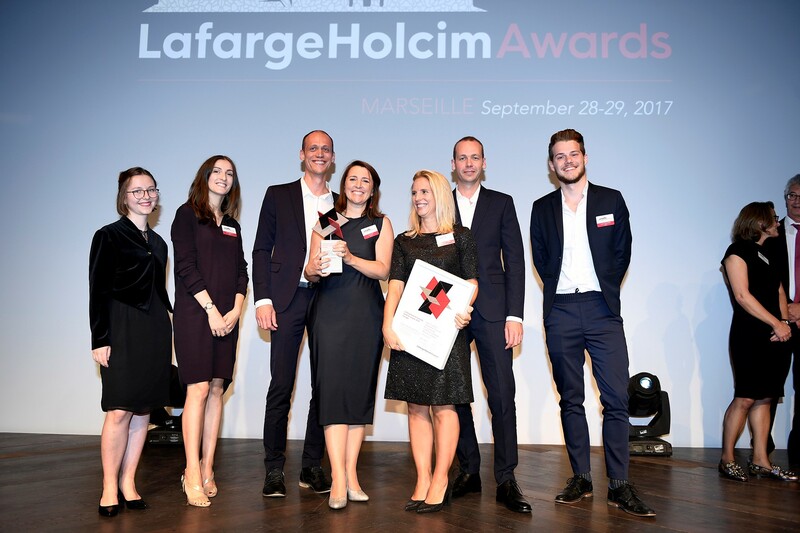 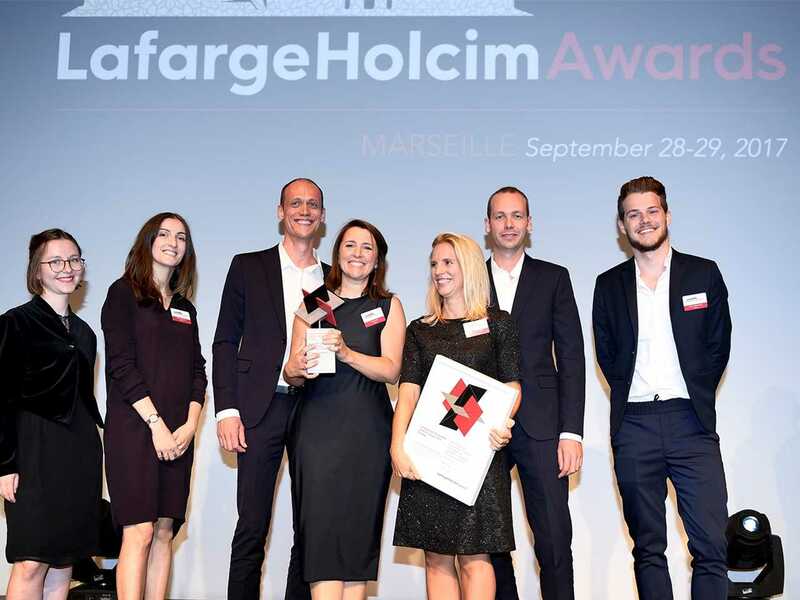 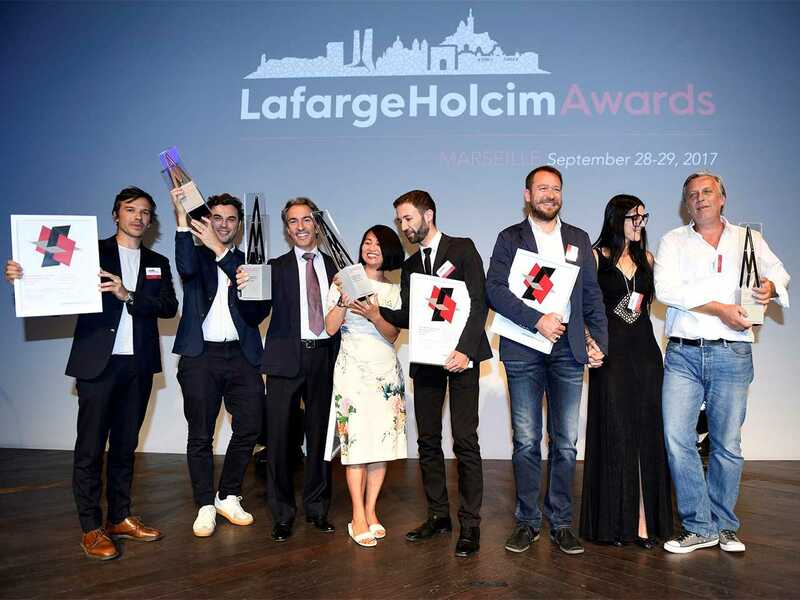 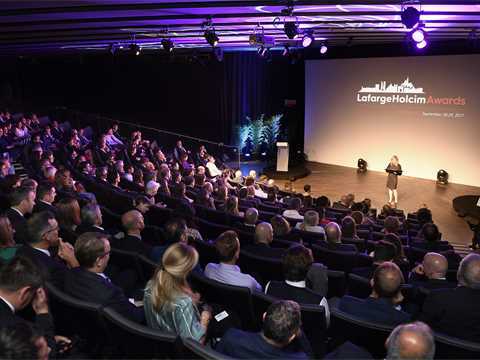 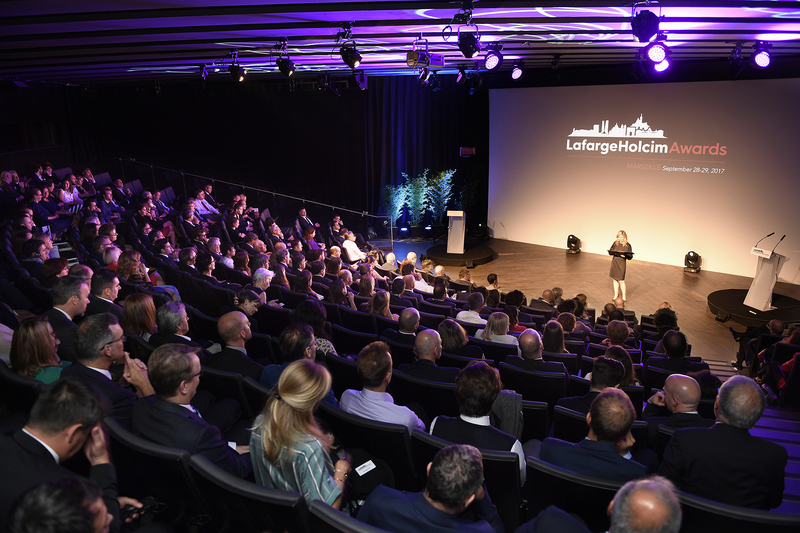 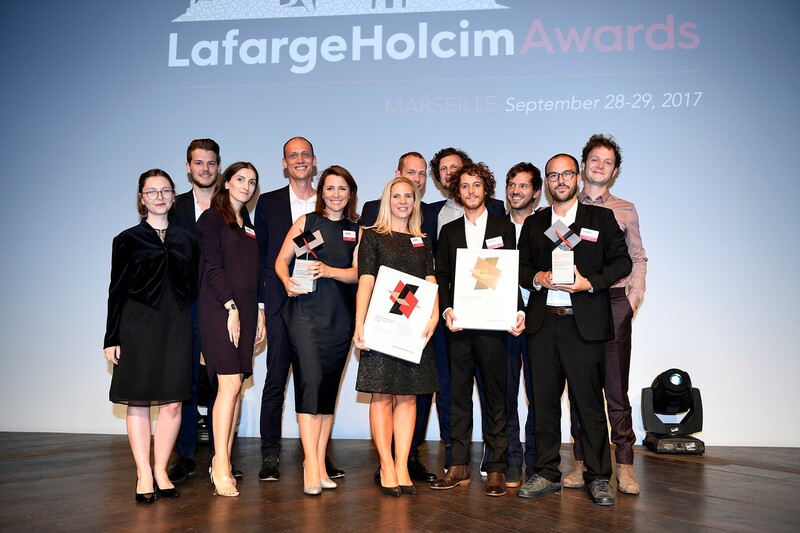 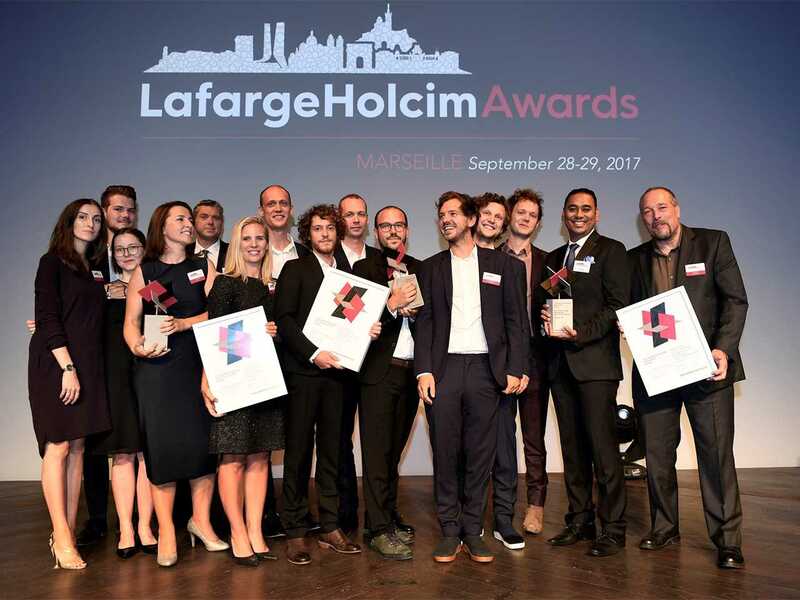 In the regional LafargeHolcim Awards, four projects in each region receive an Acknowledgement prize. The team of Ascociata Culturala Grivita 53 wants to give Bucharest in Romania its first independent theater in several decades, through the clever use of an existing structure. 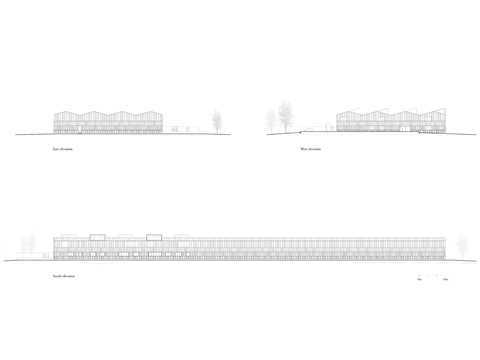 AGi architects in Madrid plan to develop an archeological excavation site in Pontevedra, Spain; here too, multi-functionality plays a key role. 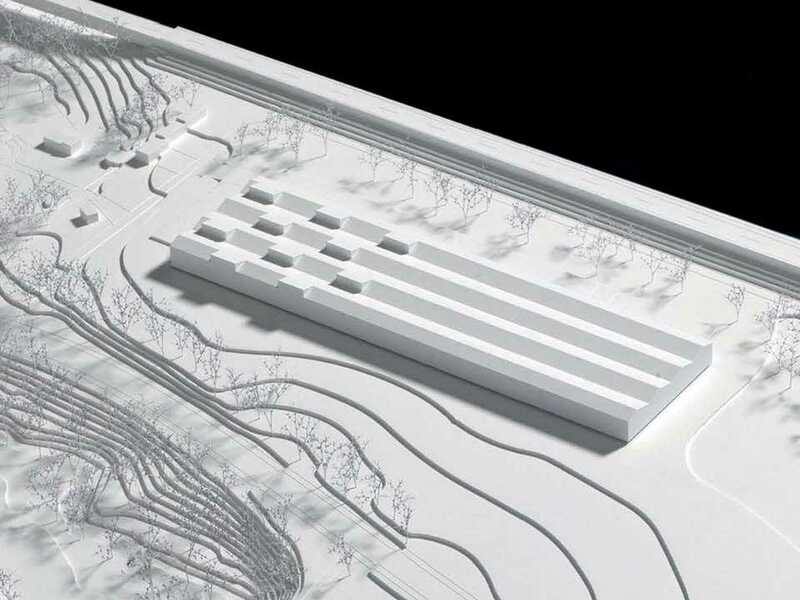 Karamuk Kuo Architekten in Zurich have planned sustainable flexibility into their design of an excavation center at Roman archaeological site Augusta Raurica in Switzerland. 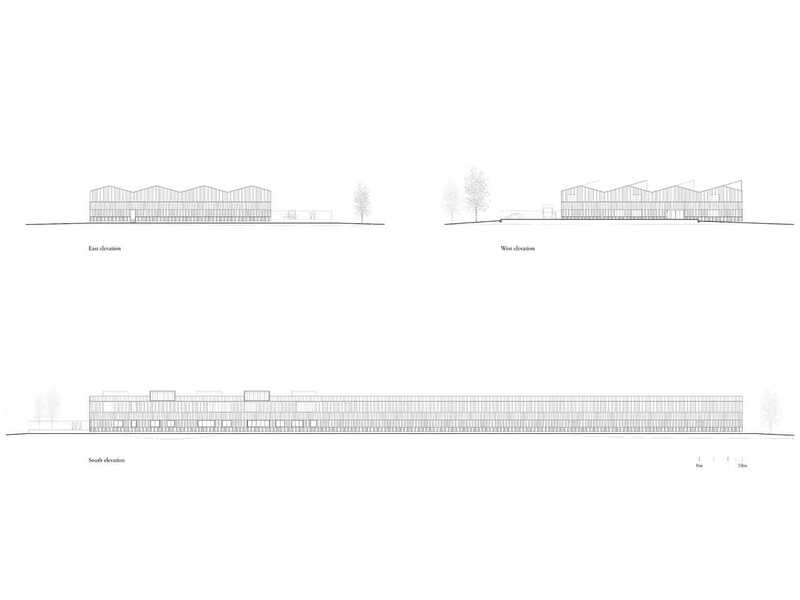 And NP2F in Paris are planning a recreation center in Bordeaux, France that is as airy as it is audacious. 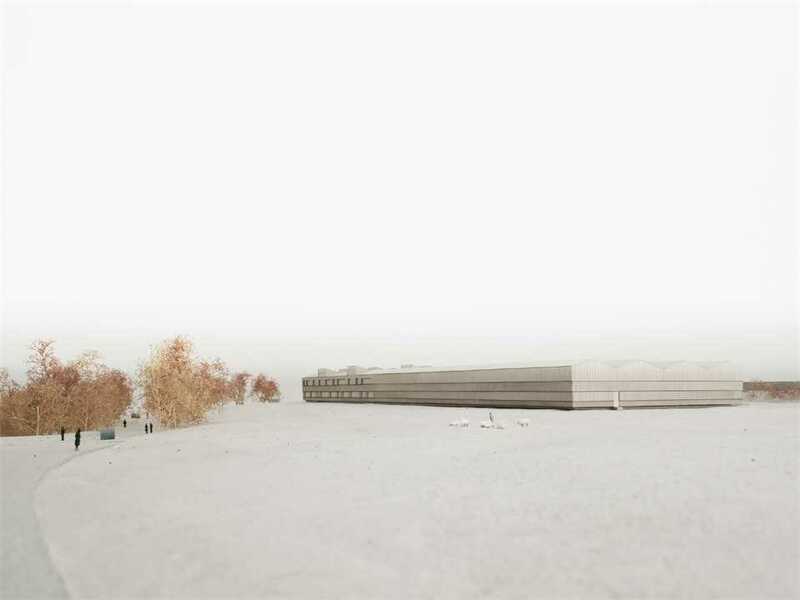 Part workspace, part archive, part exhibition, the archaeological excavation center presents the first headquarters for a significant yet financially challenged cultural institution safeguarding the largest Roman site in Switzerland. 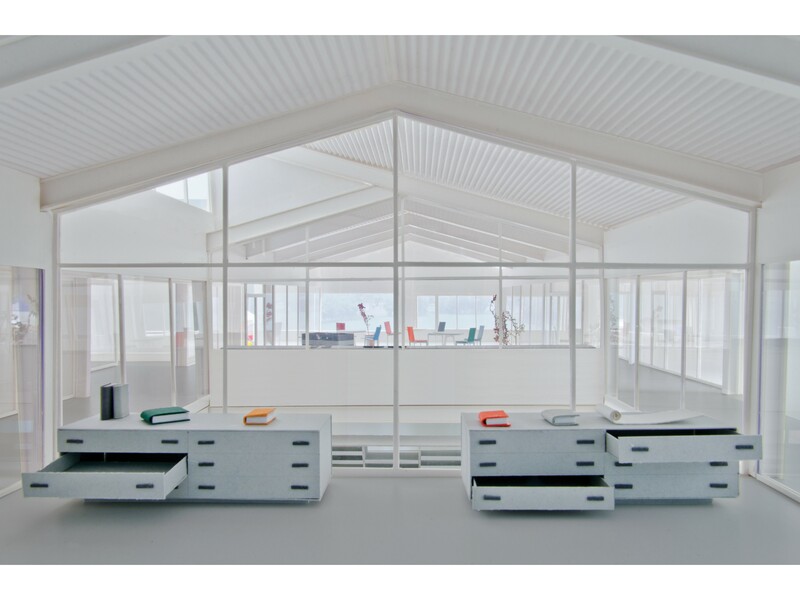 Offices, restoration labs, workshops, and storage, previously dispersed in various buildings, are united within a robust and economical spatial system that emphasizes visual transparency and a common identity. 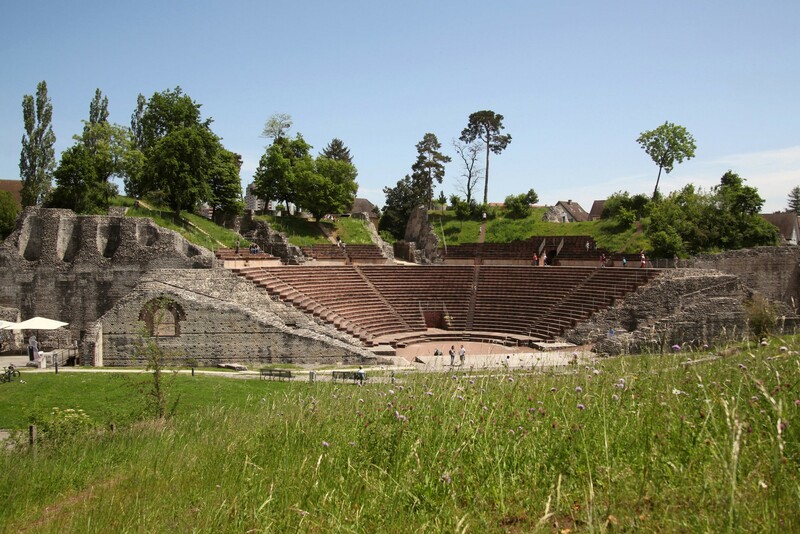 Equally pragmatic as it is expressive, the lightweight steel structure balanced on top of ancient ruins provides a continuous and flexible field condition that anticipates future change and growth. Low-tech solutions are favored over high-tech construction. The ability of the building to adapt with the changing needs of the future is central to the concept of the project. The collection of artifacts, currently at 1.7 million, grows daily. 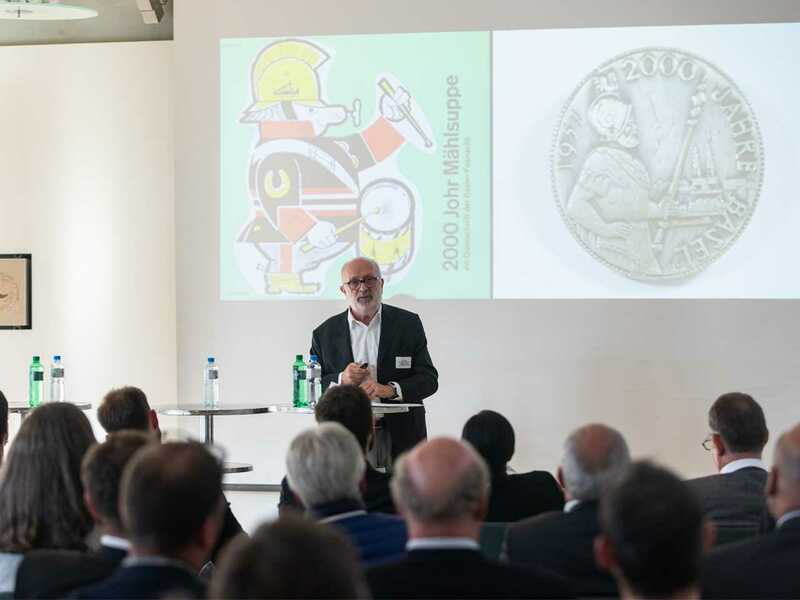 At the same time, the nature of the different departments, from archaeology and conservation, to research and marketing, have also evolved and will continue to do so as new technologies and working methods become available. 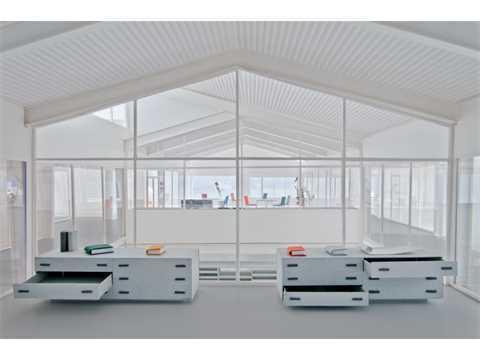 An organizational system of alternating structural bands allows individual rooms to expand or contract while ensuring clear circulation for people, artifacts, and technical services. At the same time, the linearity of the system allows the construction to be easily phased and extended over time while always appearing complete at any given moment. 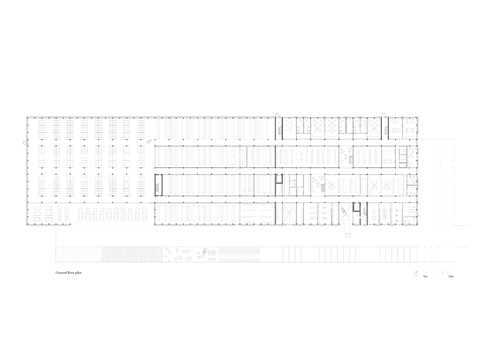 The robust industrial character, celebrating storage as display, gives the institution a clear identity despite their financial constraints. 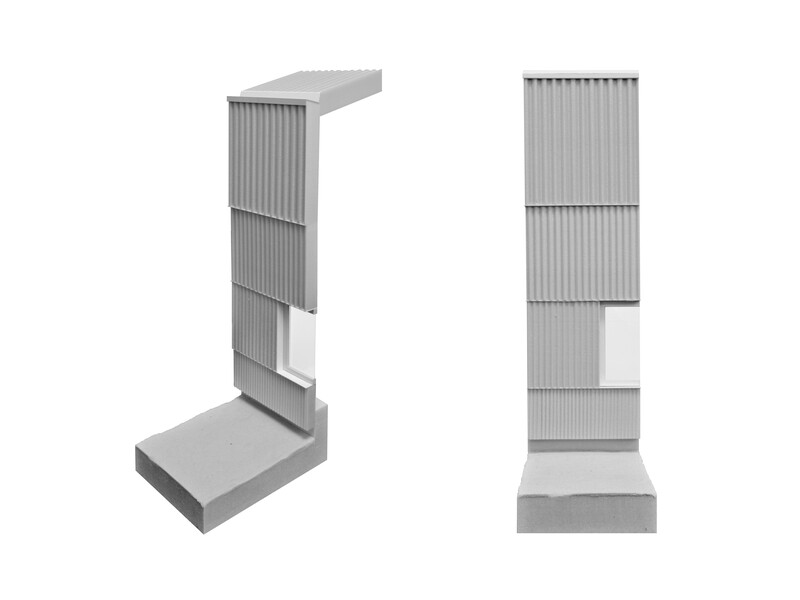 Ordinary, durable materials like corrugated steel are elevated into expressive surfaces. Inside, the lightweight steel structure and tectonic assembly provides spatial expression and allows for easy disassembly, adaptation, and recycling. 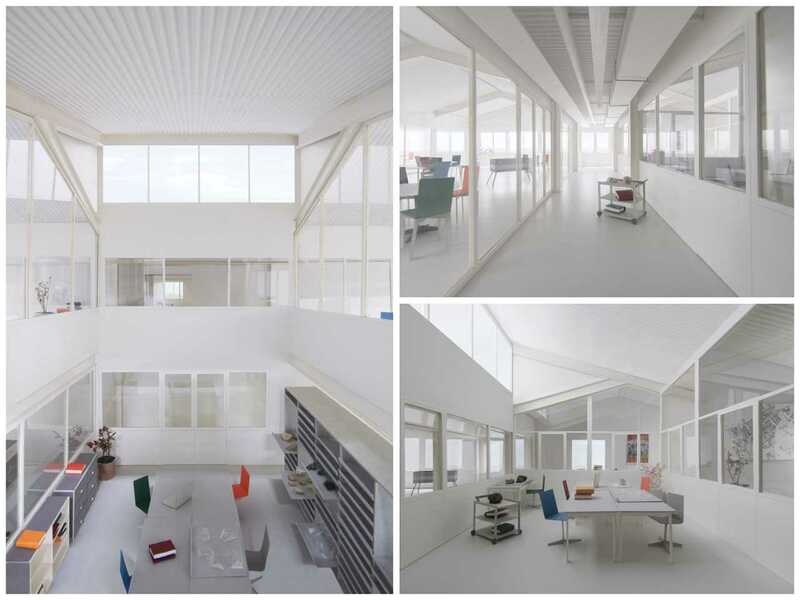 In the two-storey office and research area, voids and clerestories bring light and fresh air into the deep floor plate, lowering the energy consumption. 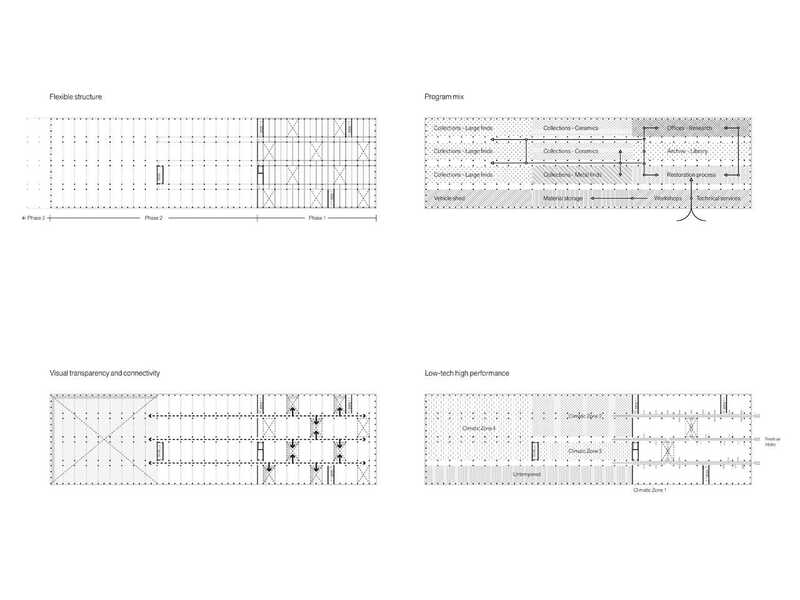 A combination of natural and passive ventilation of the offices through a pressurized corridor, as well as discrete climate zones for the artifacts means a very compact and efficient mechanical system despite the depth of the building. 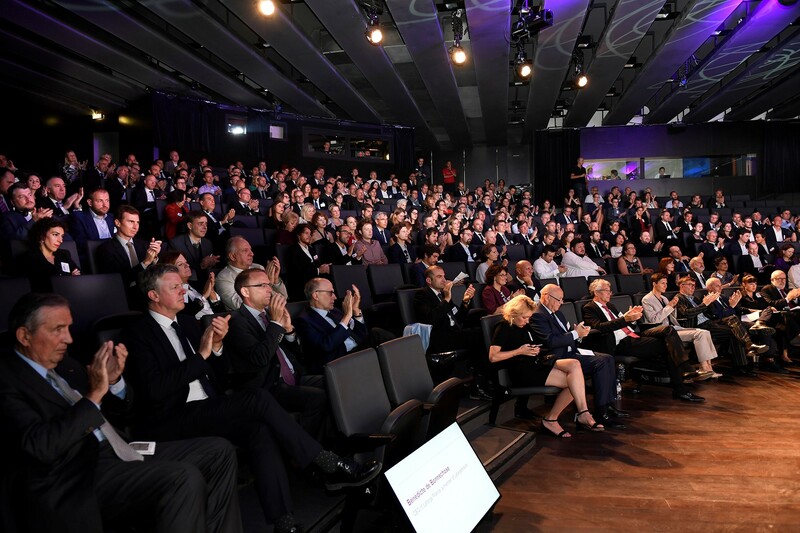 Our history and culture define us as a people and institutions like this exist to give us common ground. 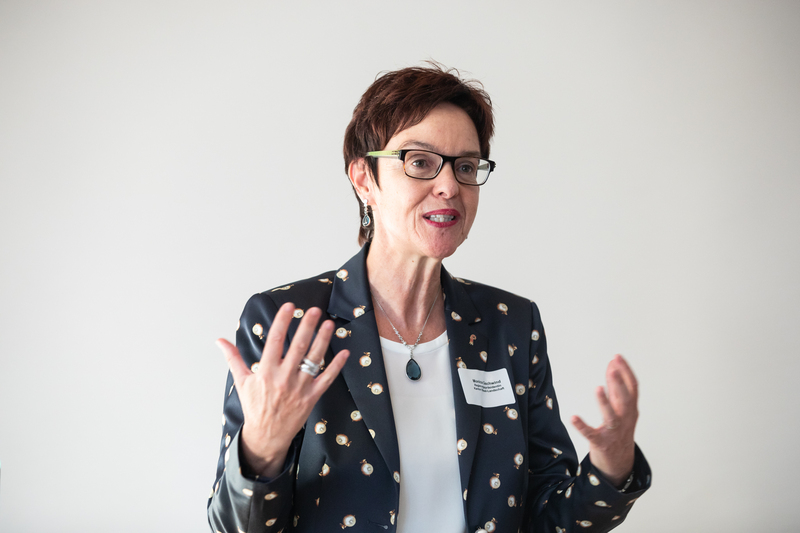 Its impact is both local and national, providing public programs for schools and families that also help the local economy. 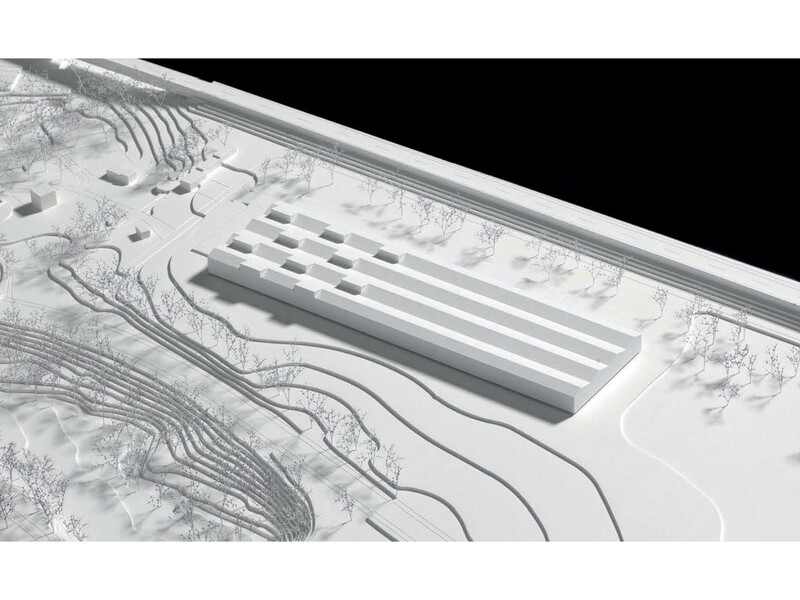 Yet Augusta Raurica is currently facing severe budget limitations as politicians debate the necessity of funding “old rocks”. 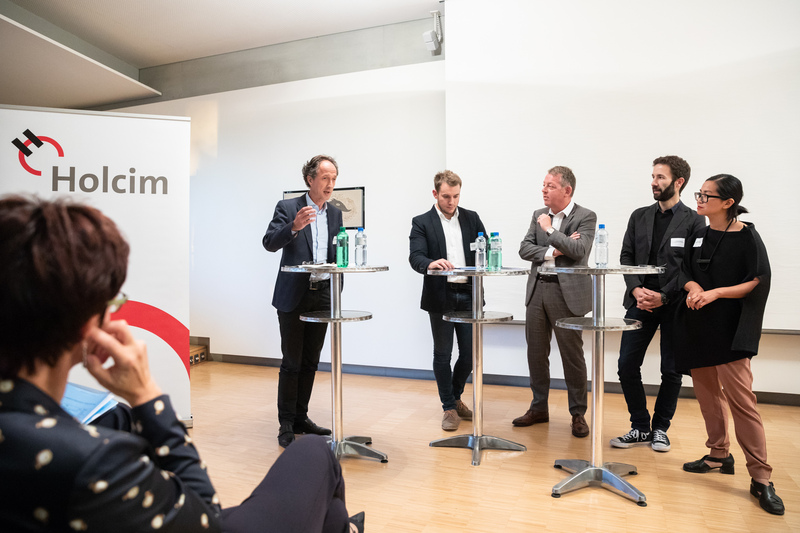 Their present situation of departments dispersed in various substandard spaces across town limits their ability to function, putting the artifacts and the institution at risk. 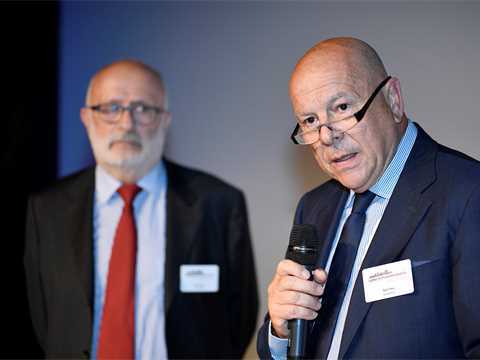 The project provides not only an internal identity for the institution, fostering formal and informal exchanges necessary for a common mission, but also a face to the outside, presenting it as a depository of cultural goods and an anchor for the local community.